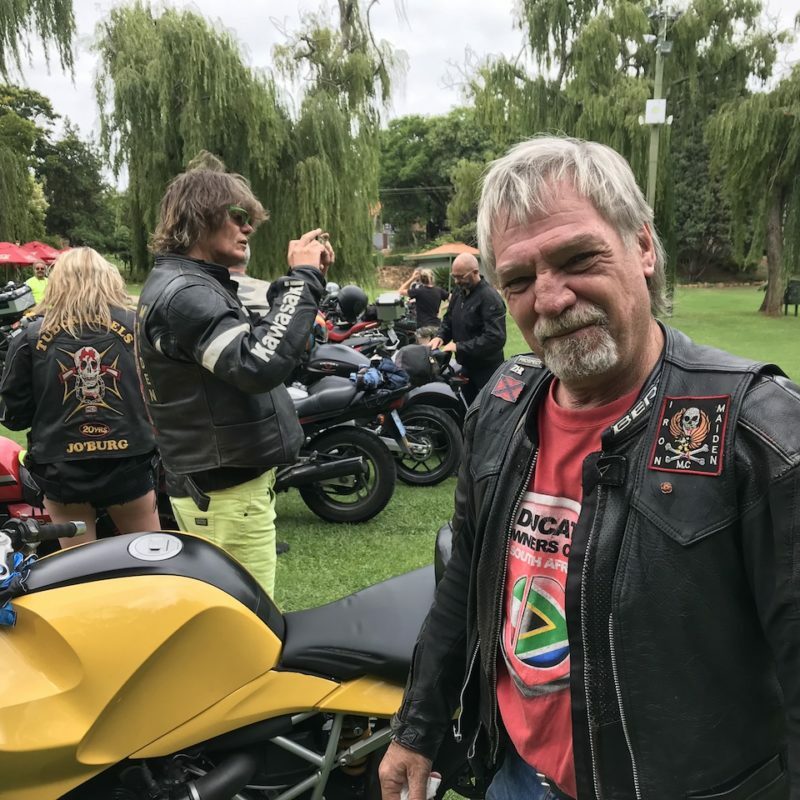 There’s a theory that the best why to lower the accident rate on the roads is not to fit any vehicles with ABS, traction control, airbags, crumple zones and seat belts. 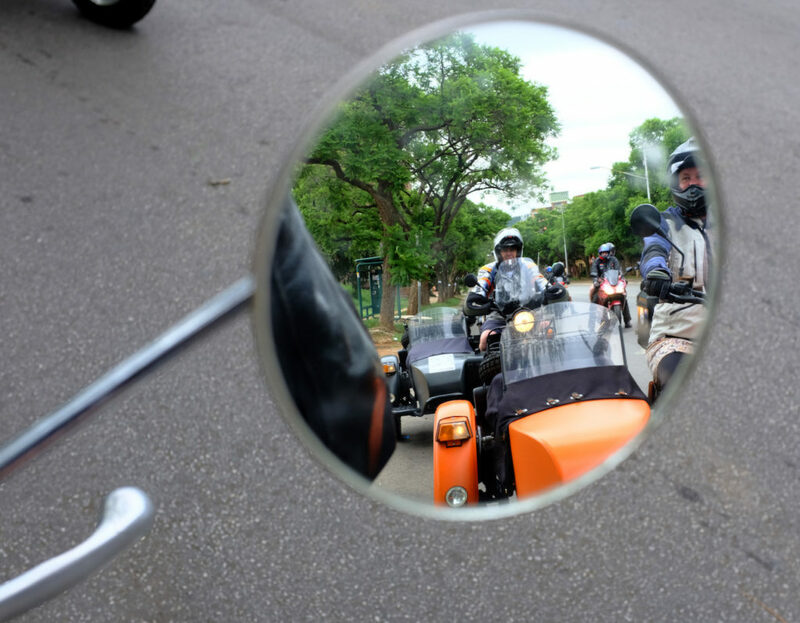 Instead, leave all that off and mount a large spike on the steering wheel aimed at the driver. 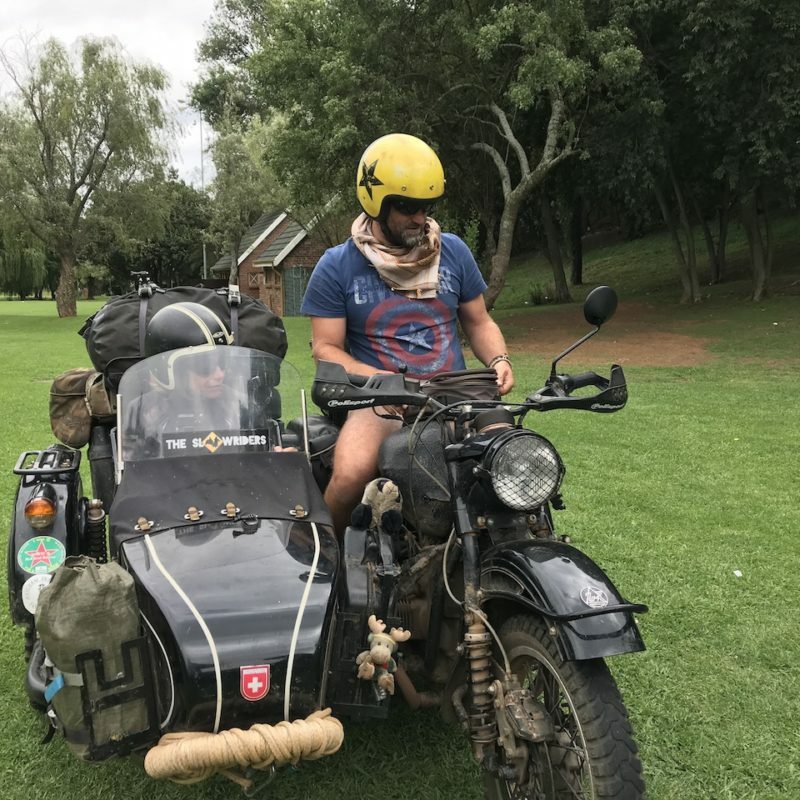 The theory goes that the driver will be so terrified of crashing and therefore so careful that said crash will never happen. 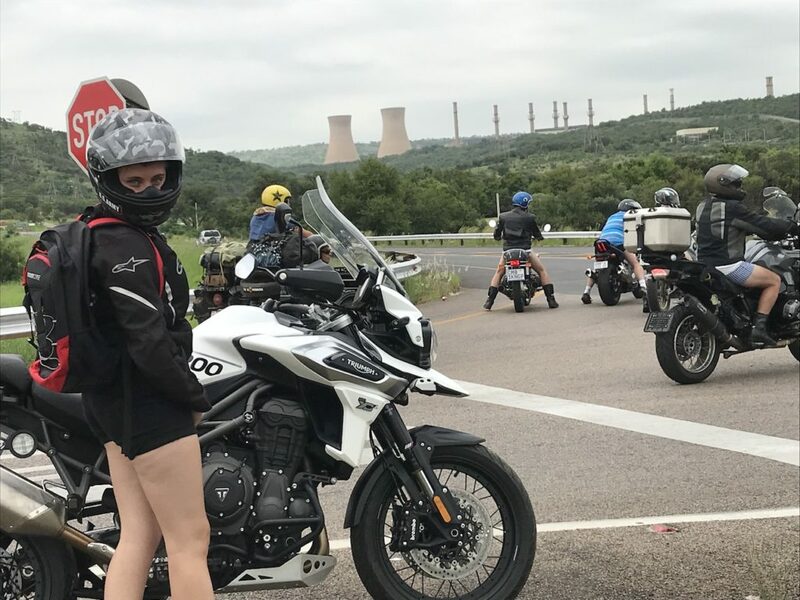 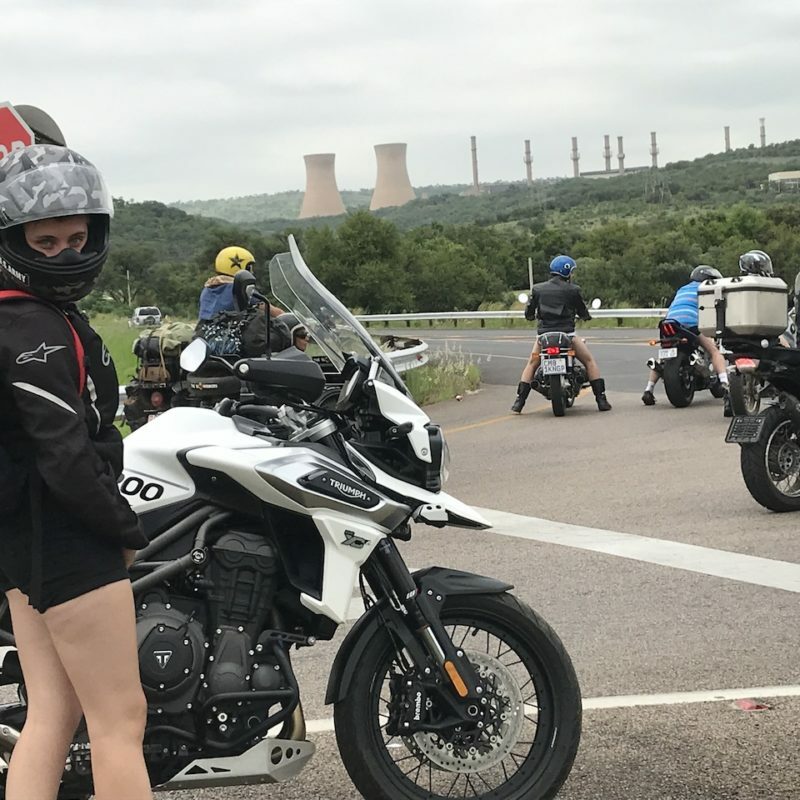 I can now reveal that there is definitely some weight behind this theory, as I rode along the N1 towards to Pretoria with the cool wind whipping at my bare legs. 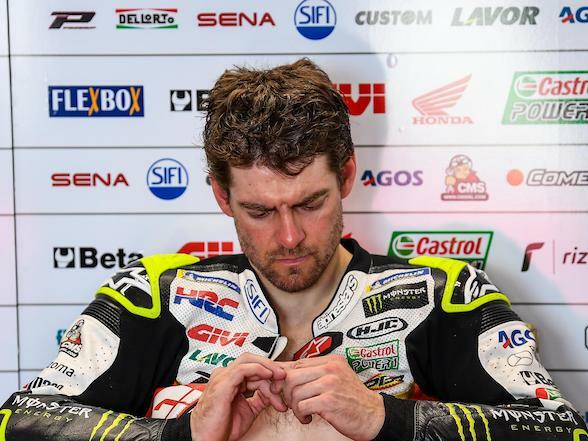 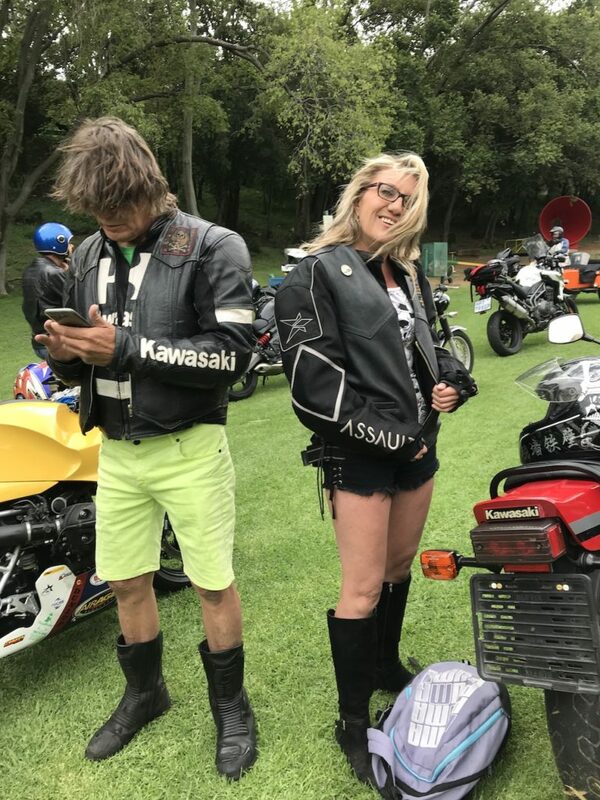 The thought of the various times full leathers have saved them as I slid down whatever race track I had just found the boundaries of went through my mind and, more so, the bloody results were I not wearing said leathers. 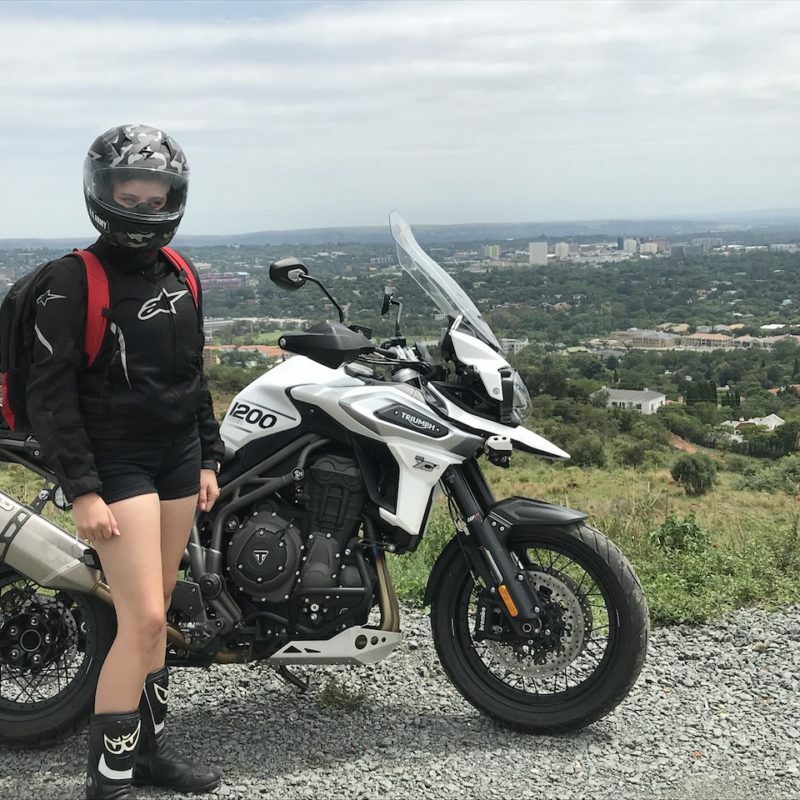 That was the tensest ride I have ever been on. 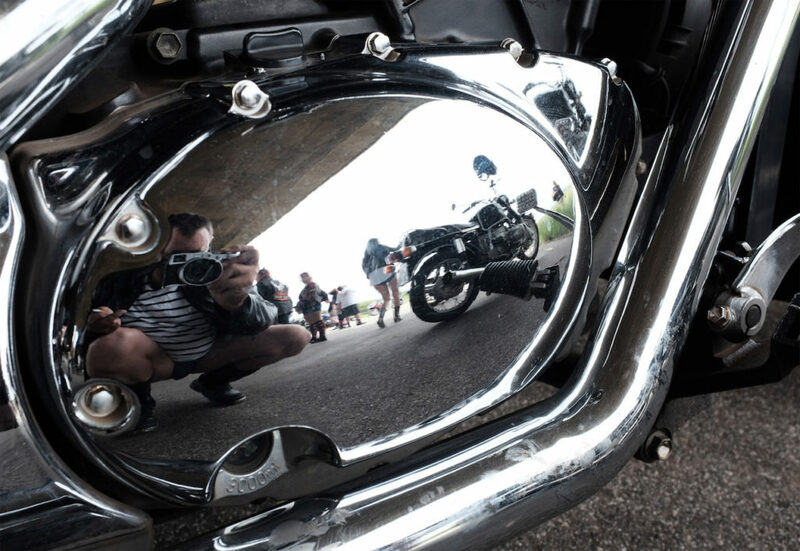 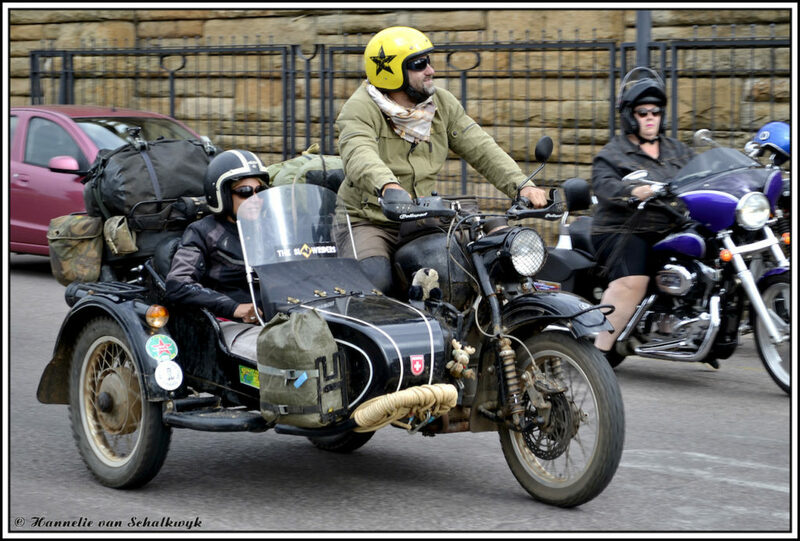 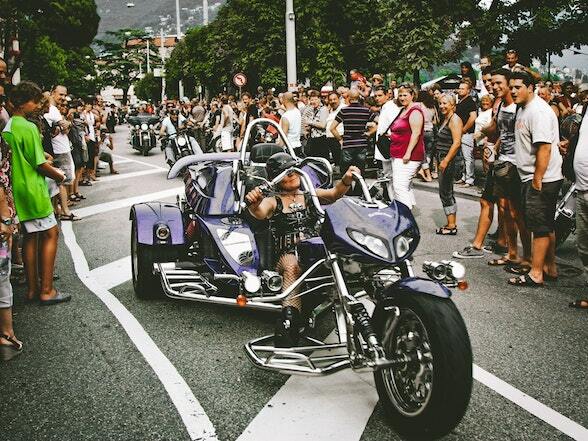 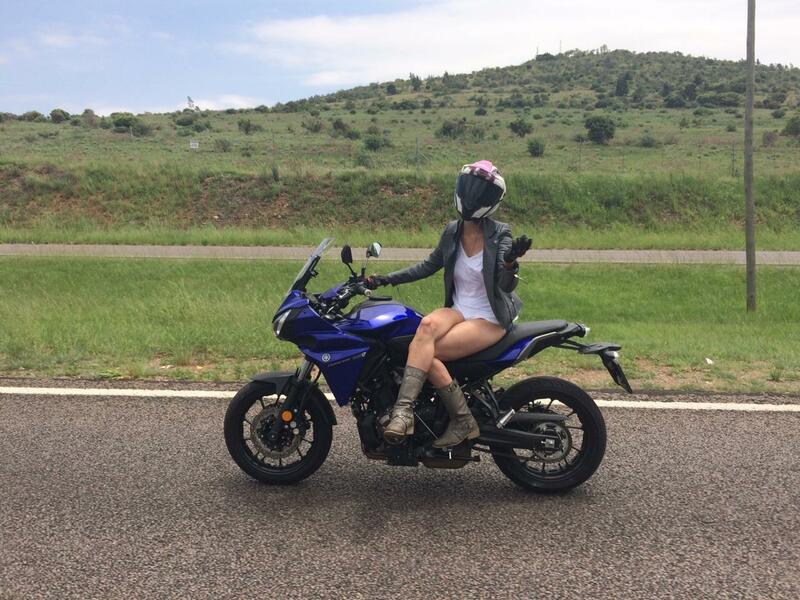 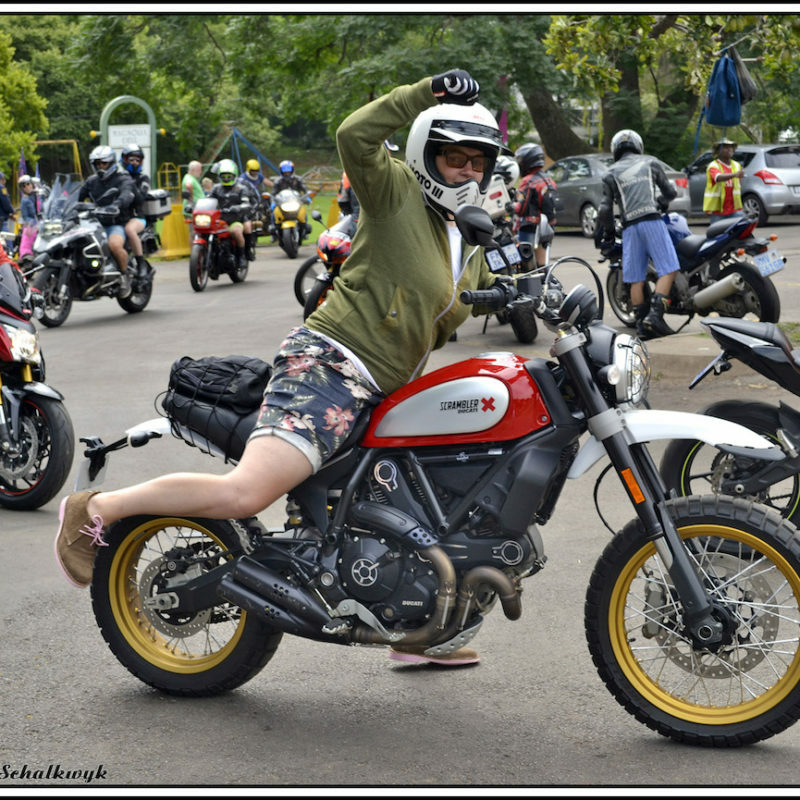 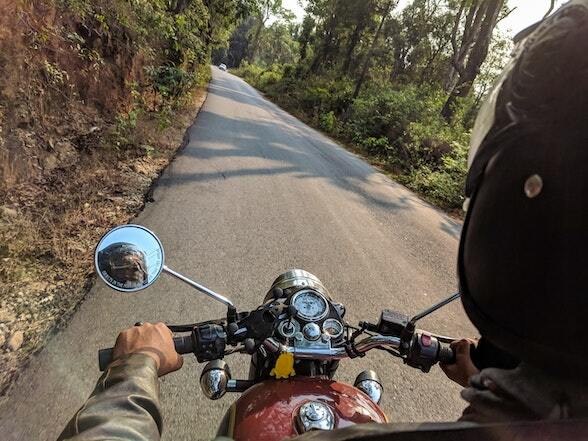 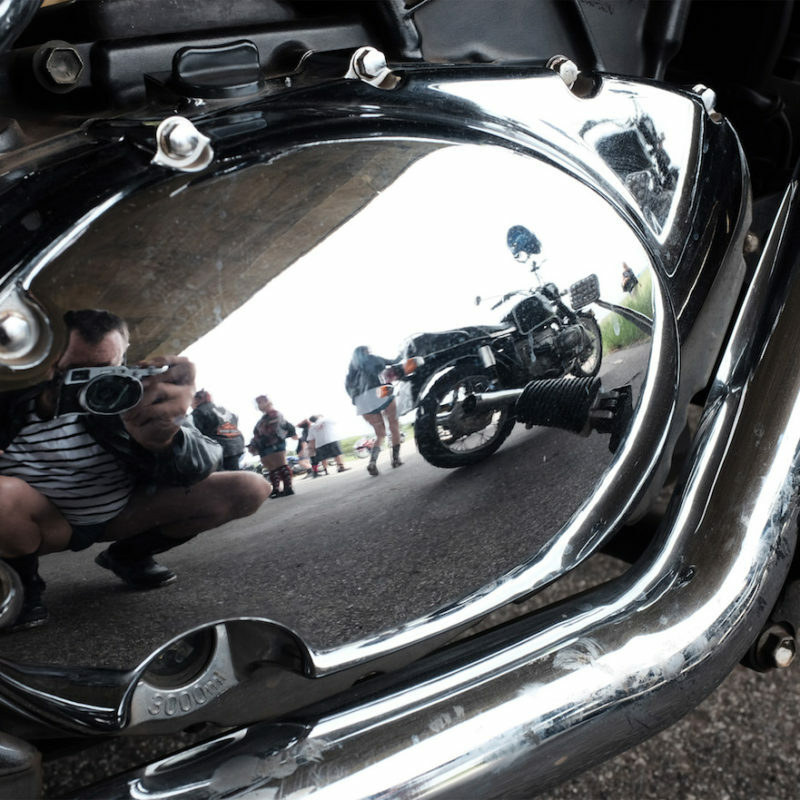 The fact that my pillion too bore bare – however hugely more attractive – legs compounded said anxiety. 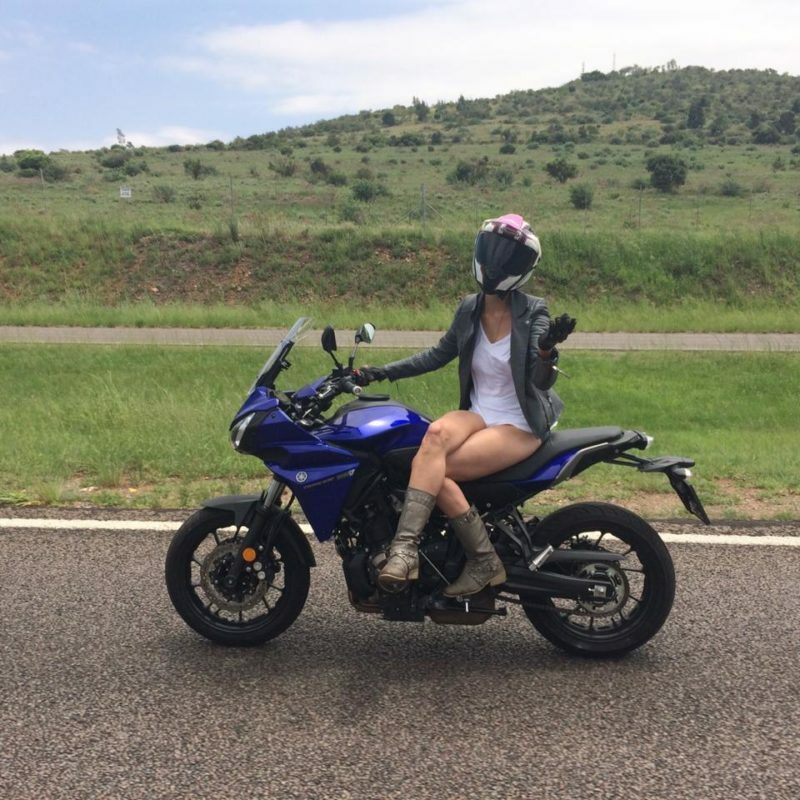 A crash of any form was just out of the question. 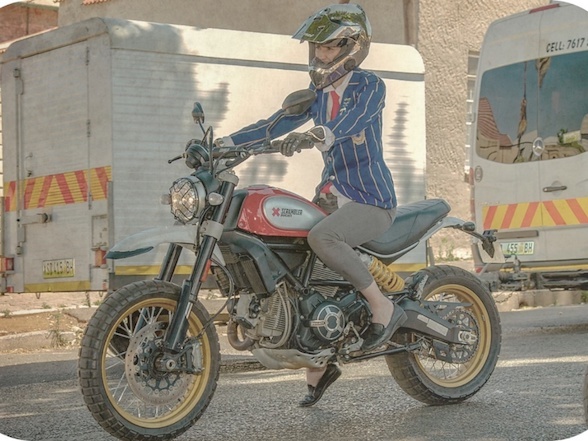 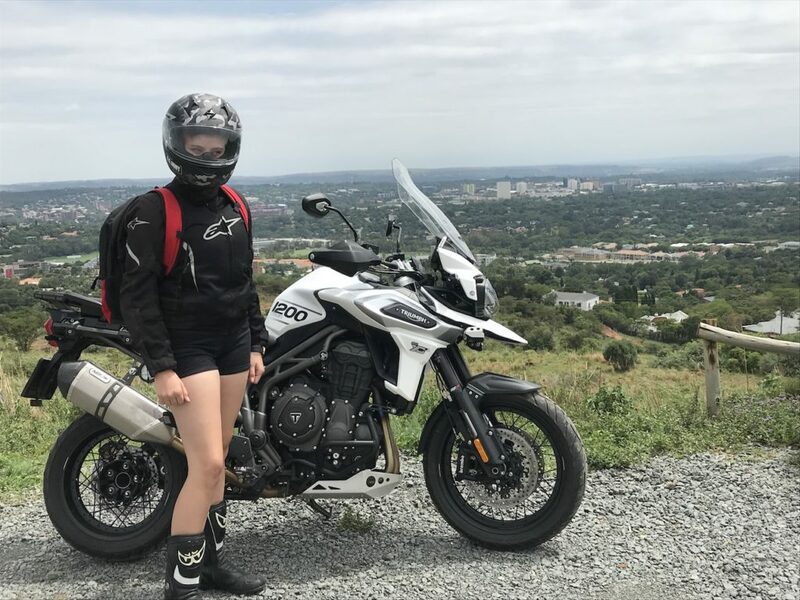 We were on the Triumph Tiger 1200 XCA, a bike that anyone keeping an eye on this website or our TV show will know I’ve been riding a fair amount, which is odd – it’s like the supermodel-drenched Tony Stark falling in love with his PA. On paper the Tiger makes no senses. 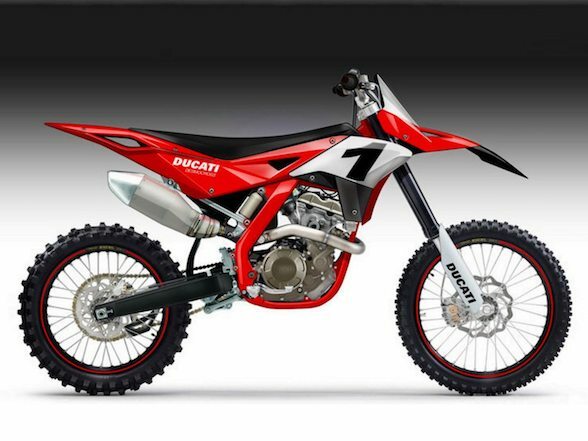 It makes 140hp that is decent but a fair bit off class leading and it weighs a ton. 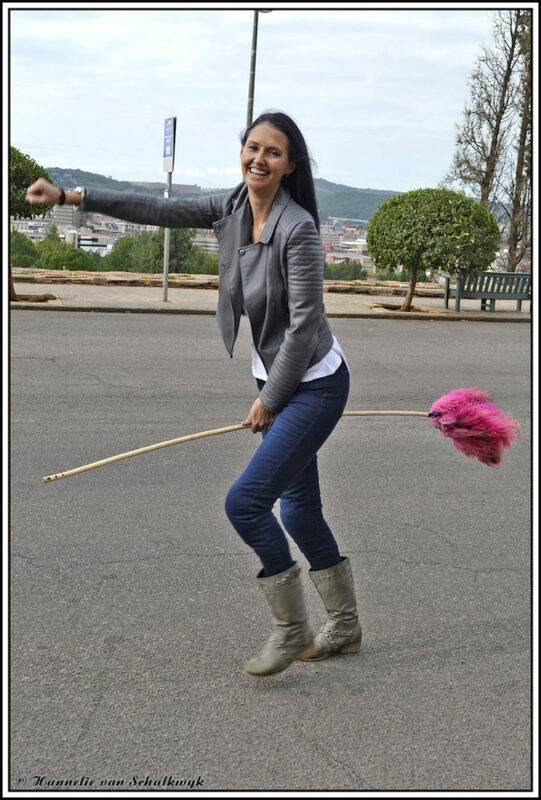 And yet it is still deeply loveable. 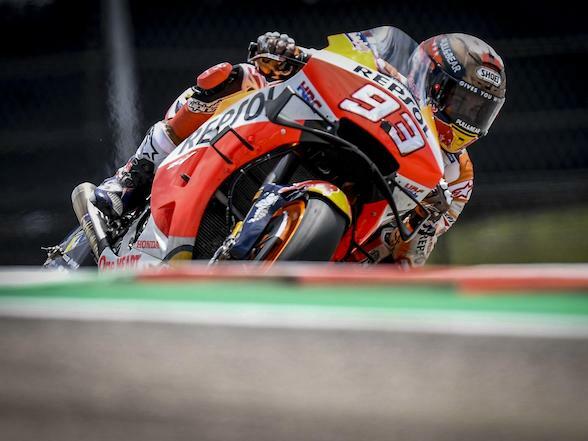 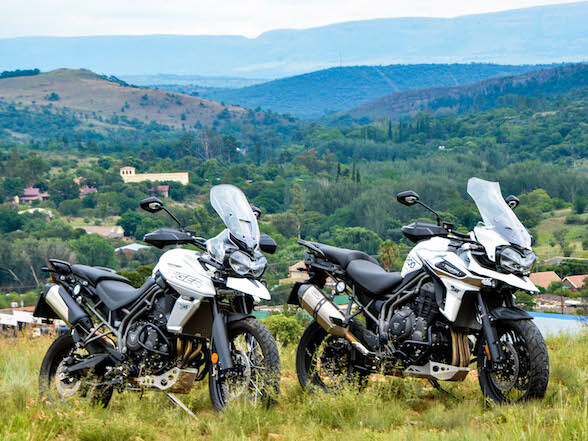 That suspension is the best possibly of any motorcycle, the triple motor is endearing, the TFT dash is cool and it costs roughly 10% less than the new 1250 GS. 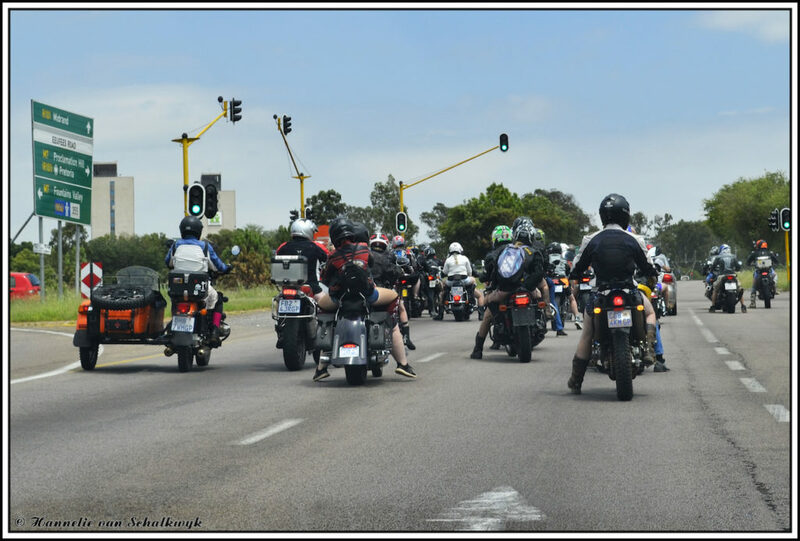 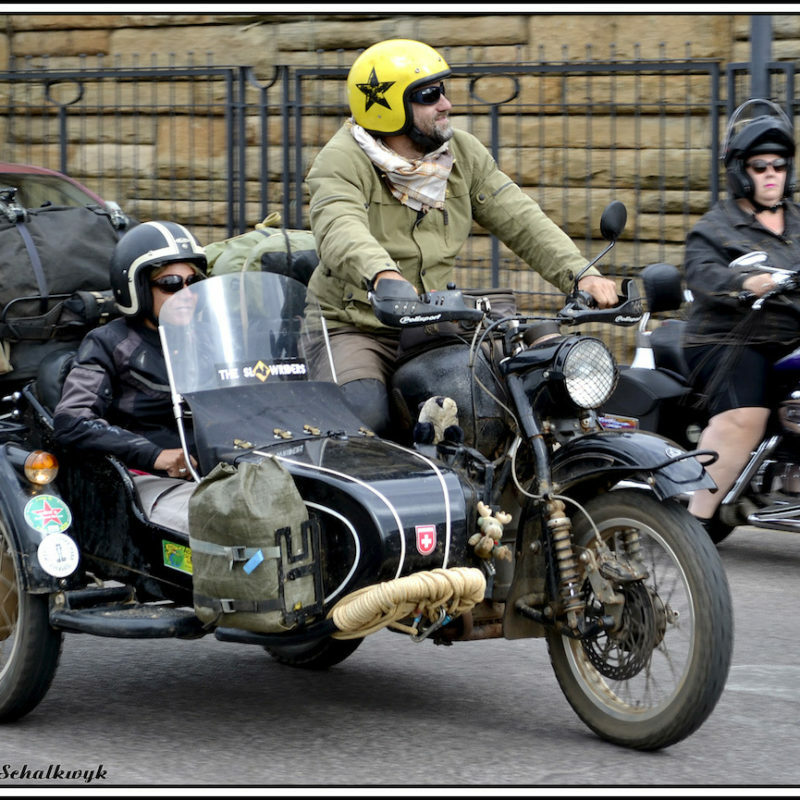 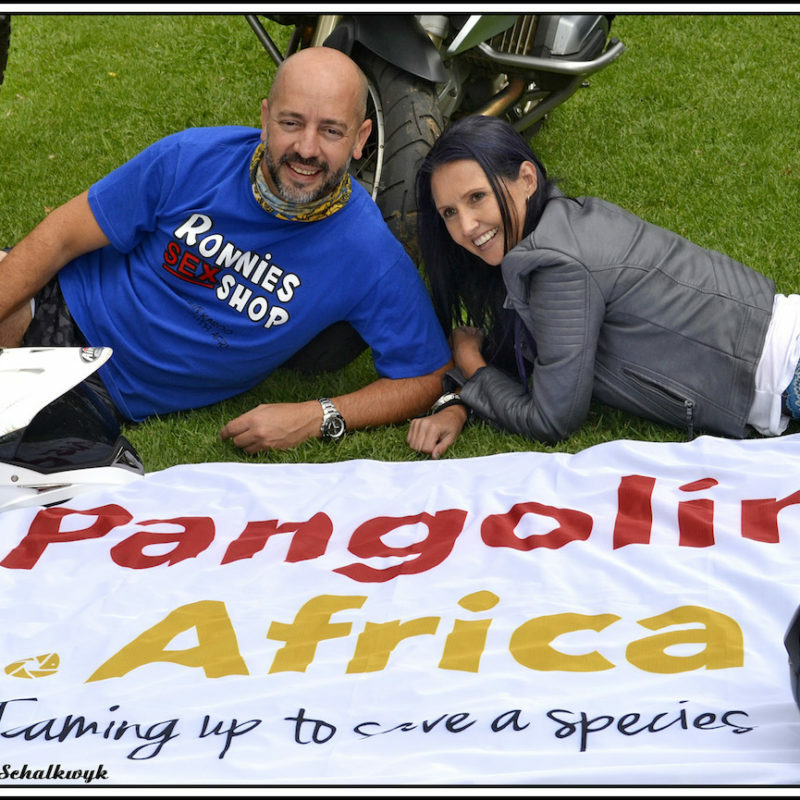 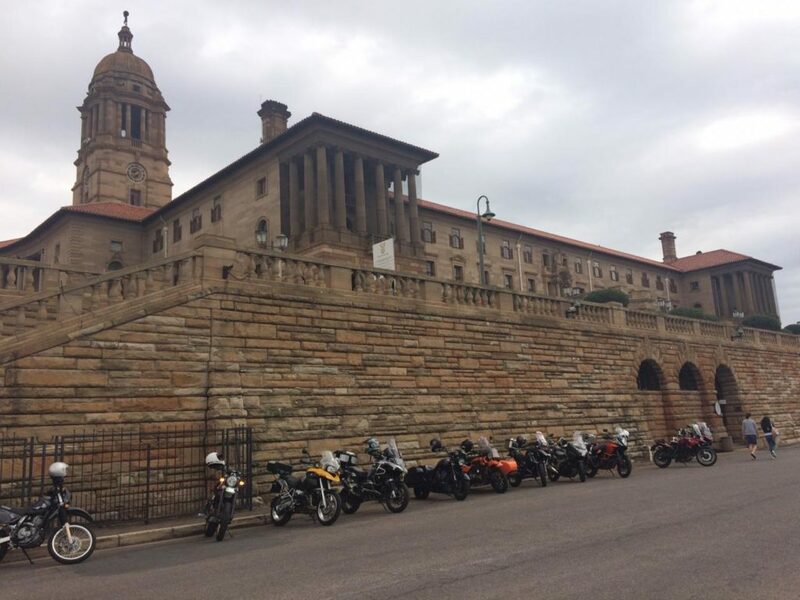 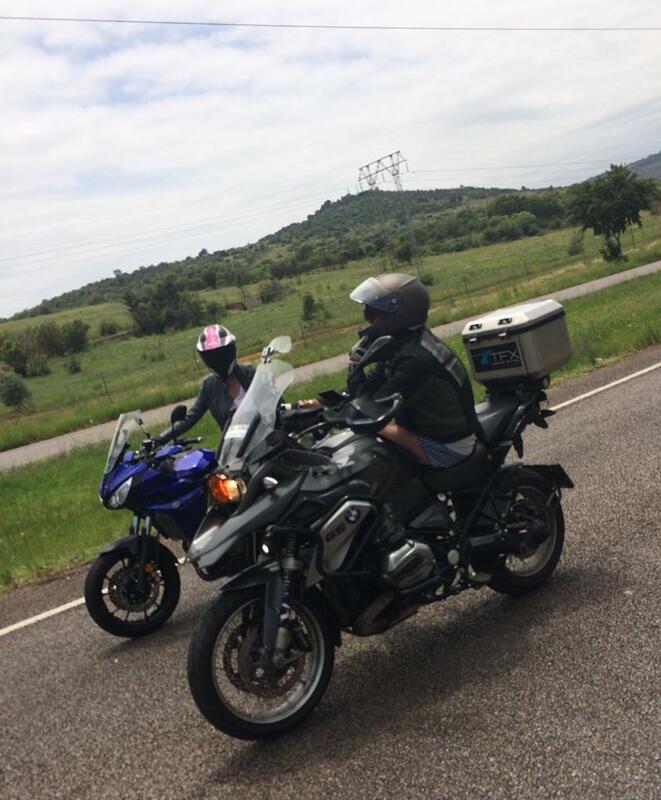 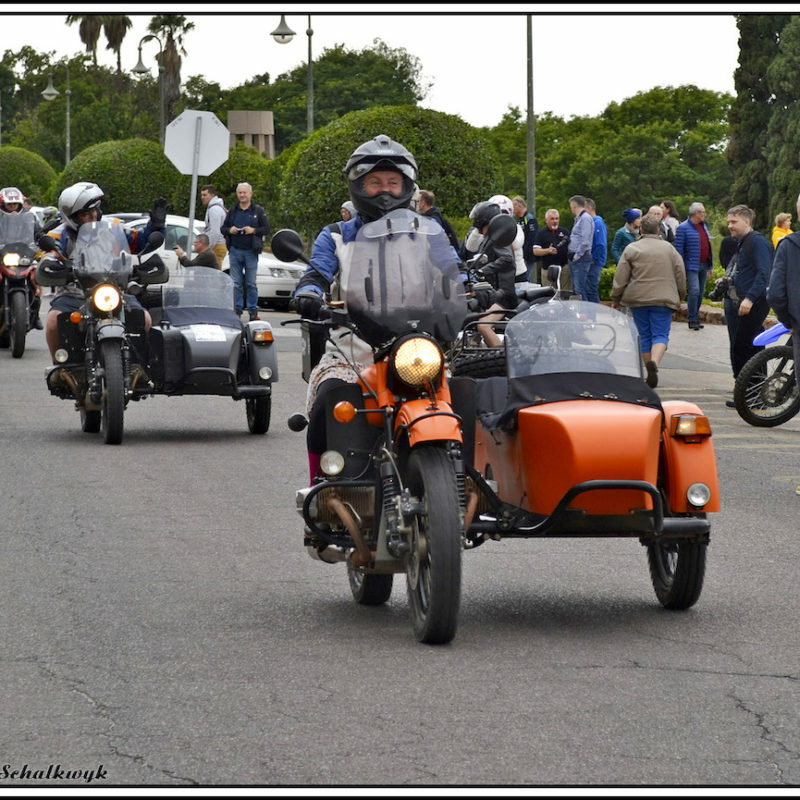 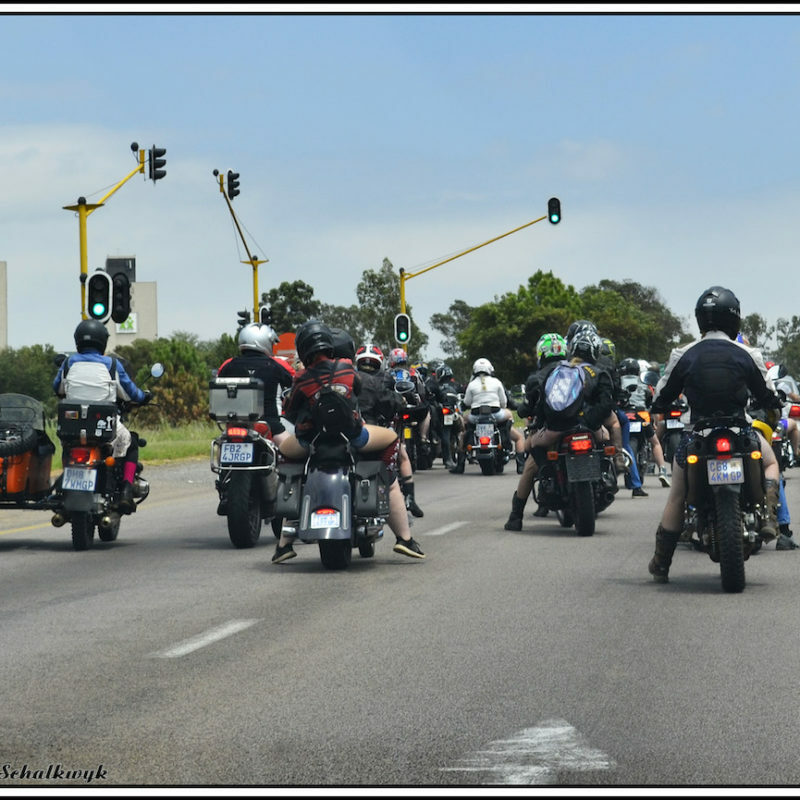 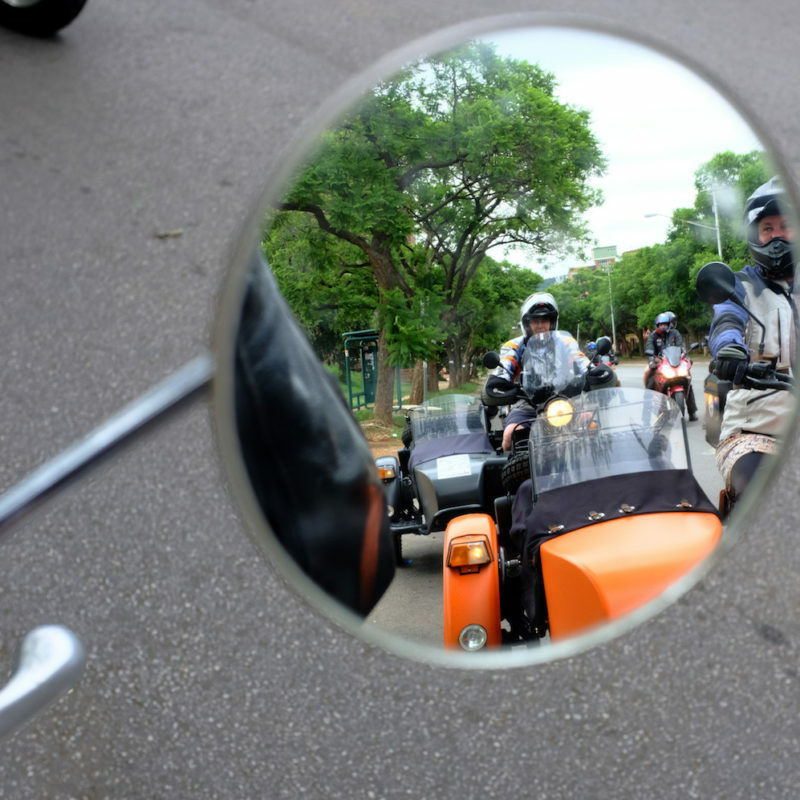 We were on our way to the Union Buildings, the meeting point for the AntiPants AntiPoaching Ride. 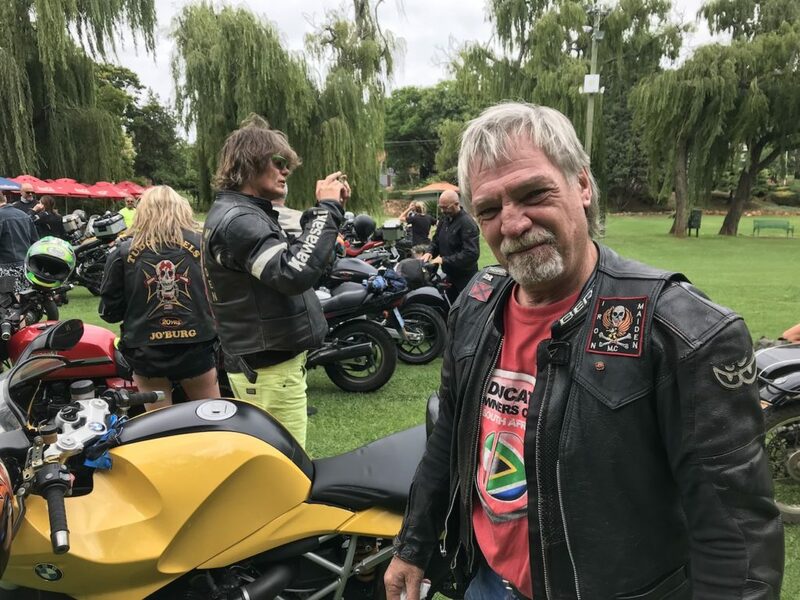 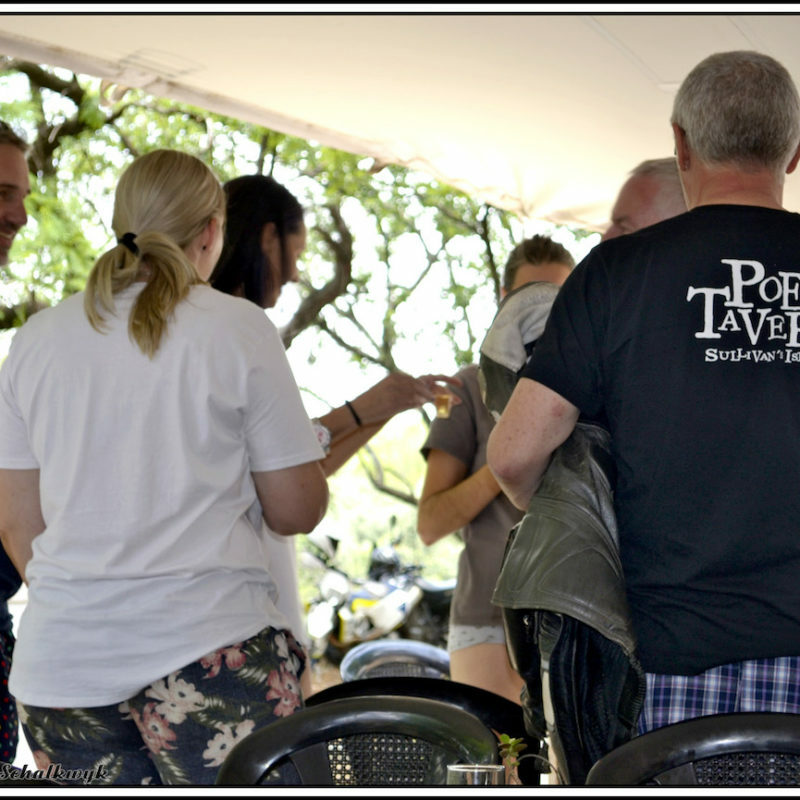 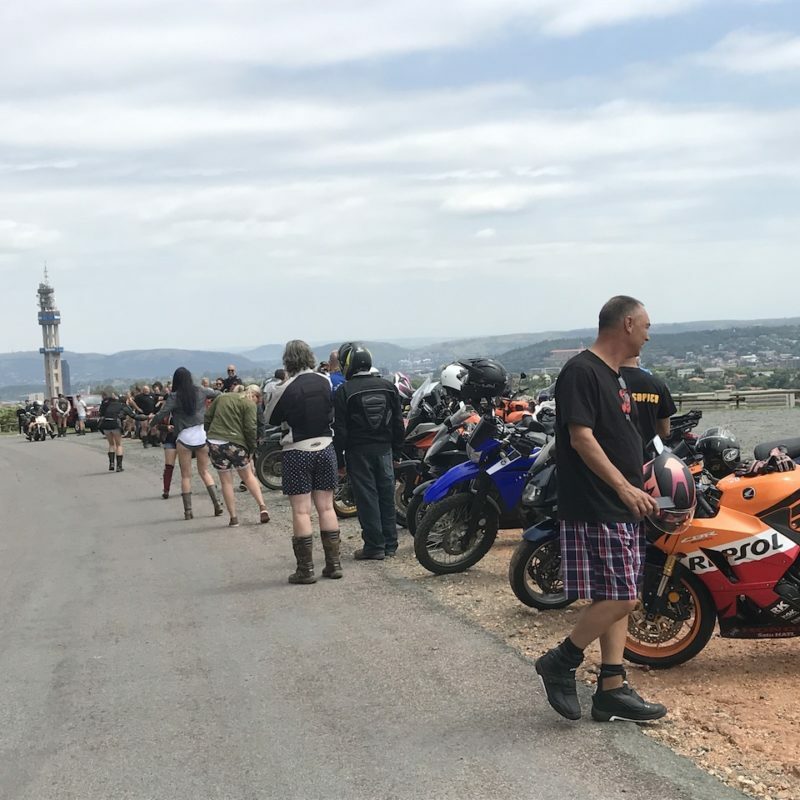 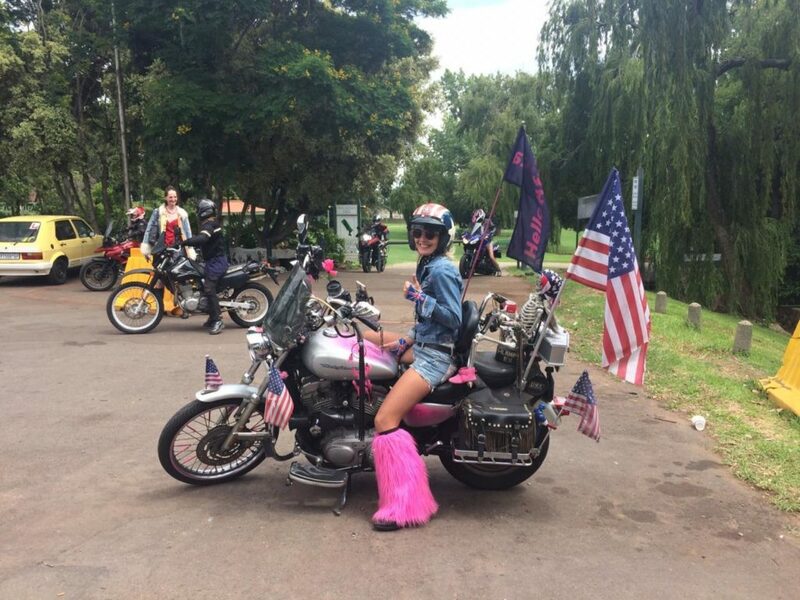 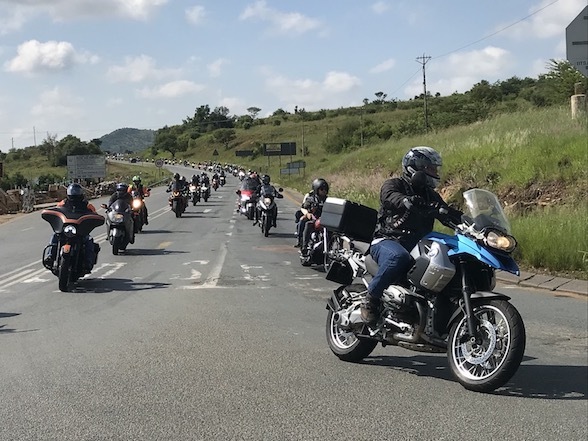 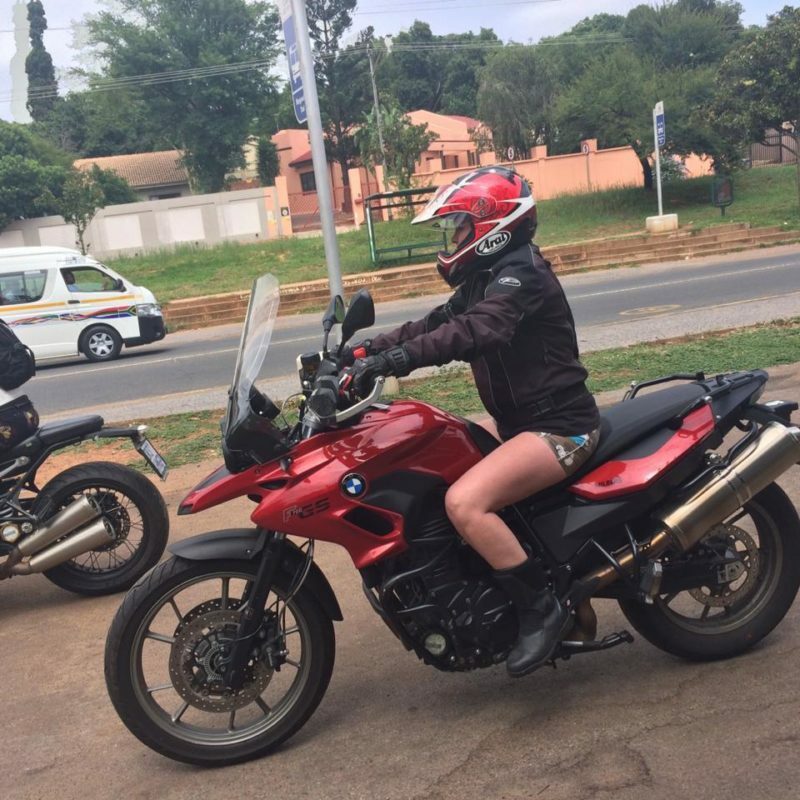 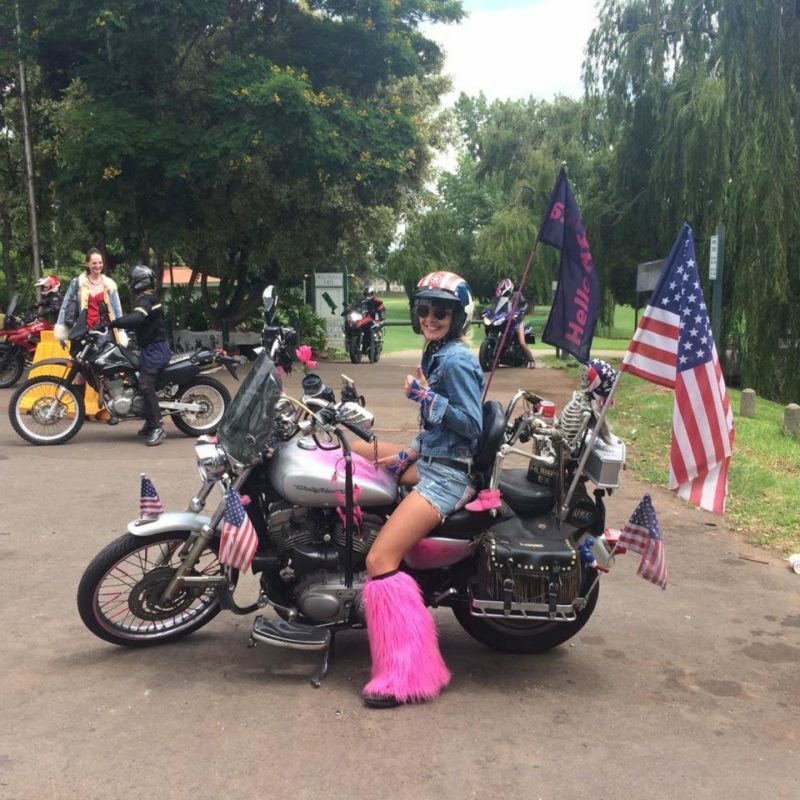 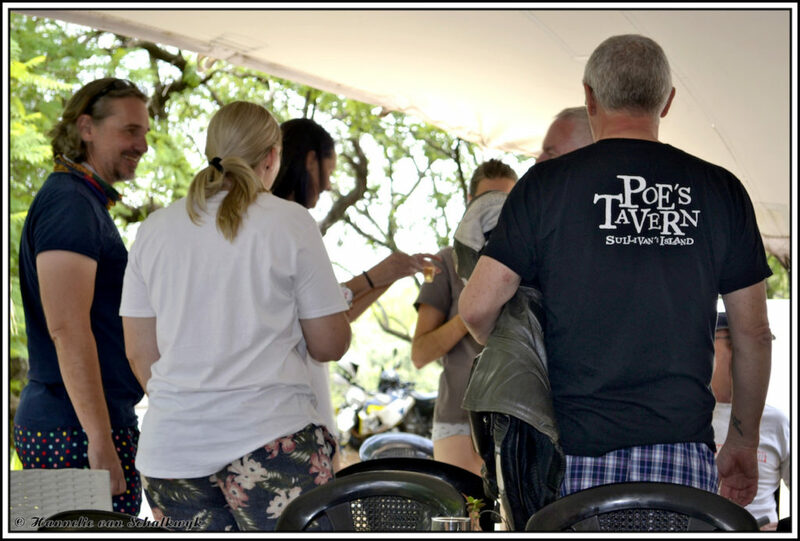 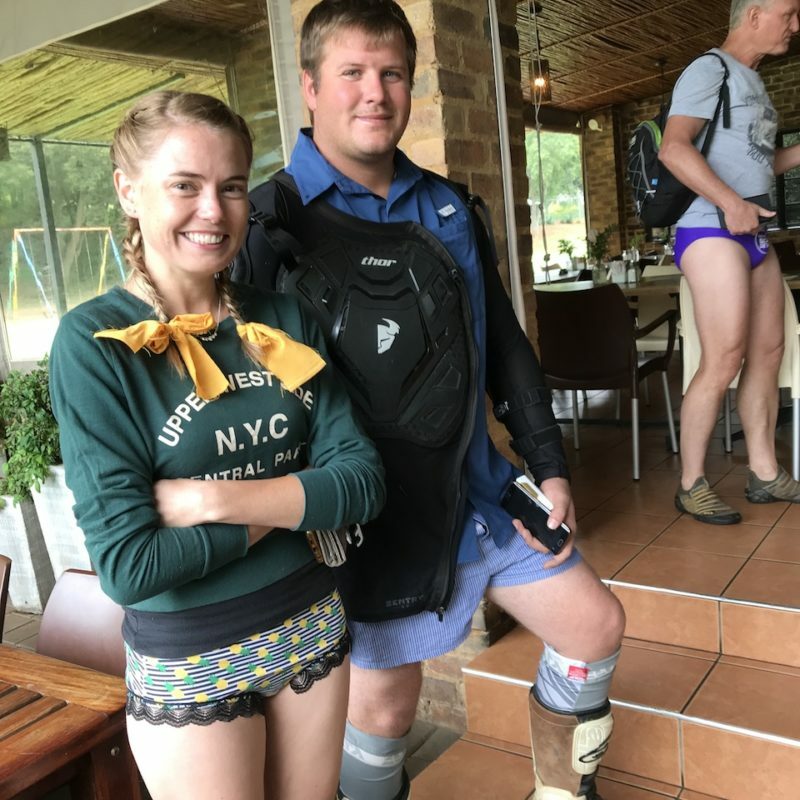 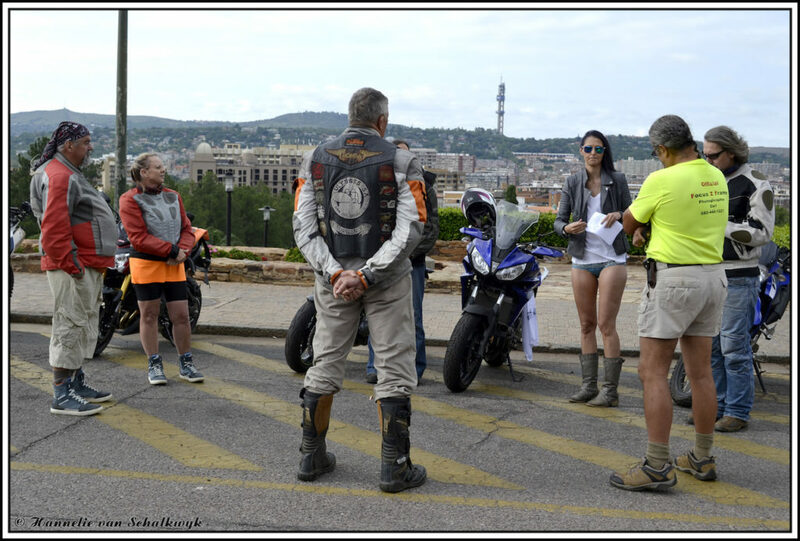 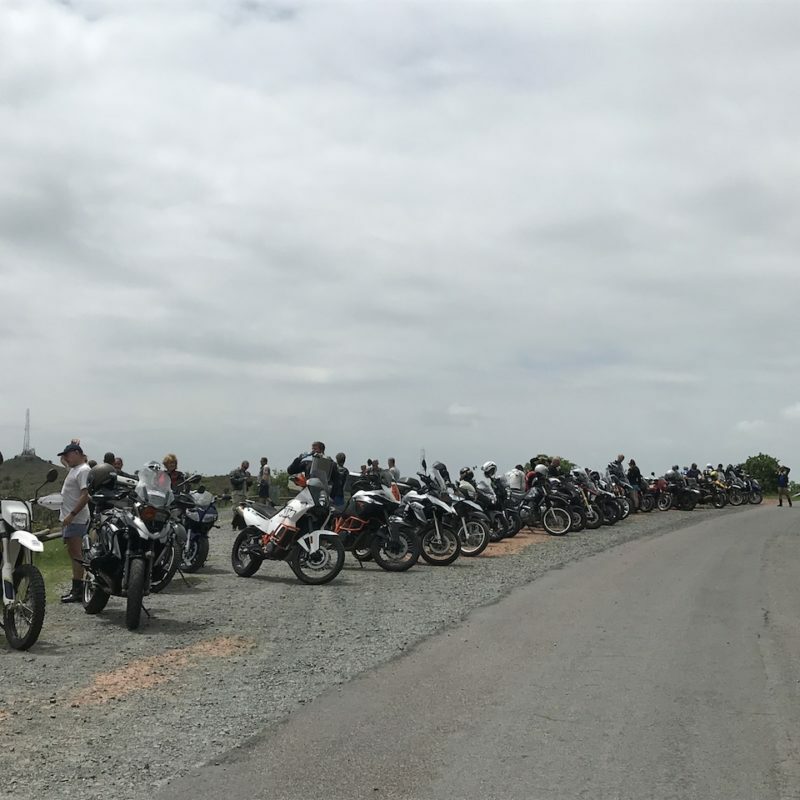 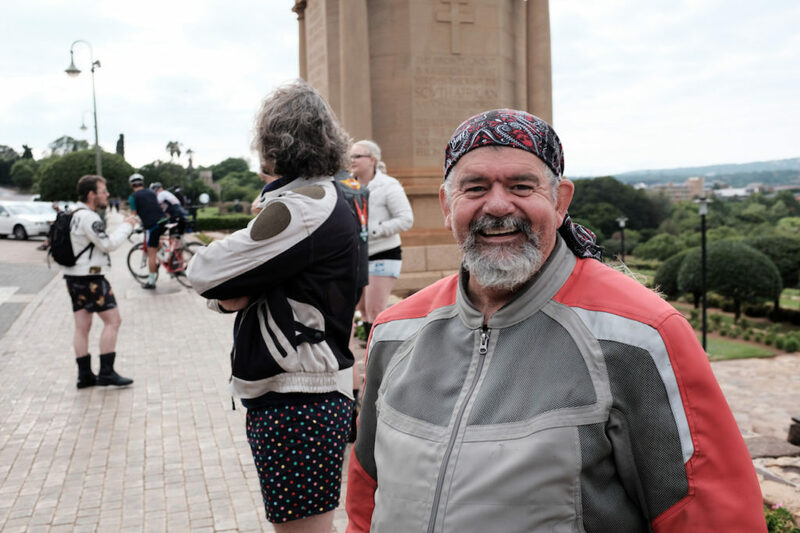 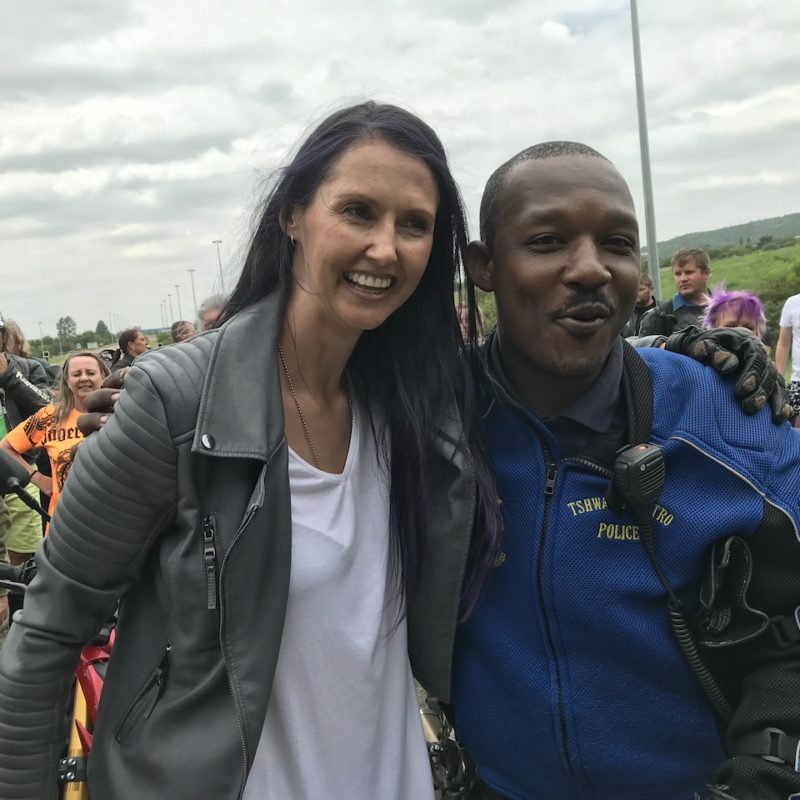 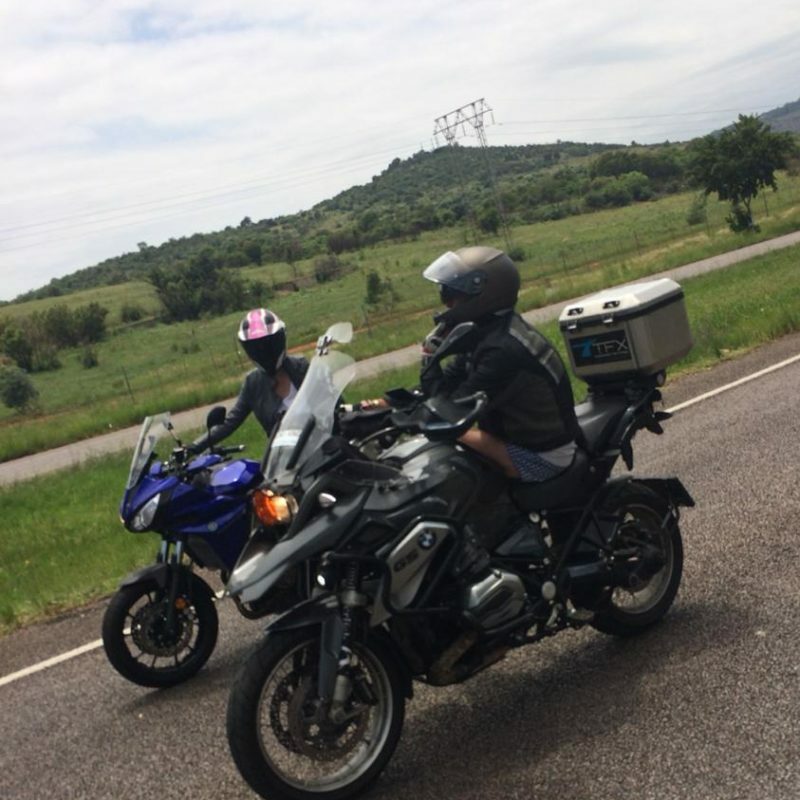 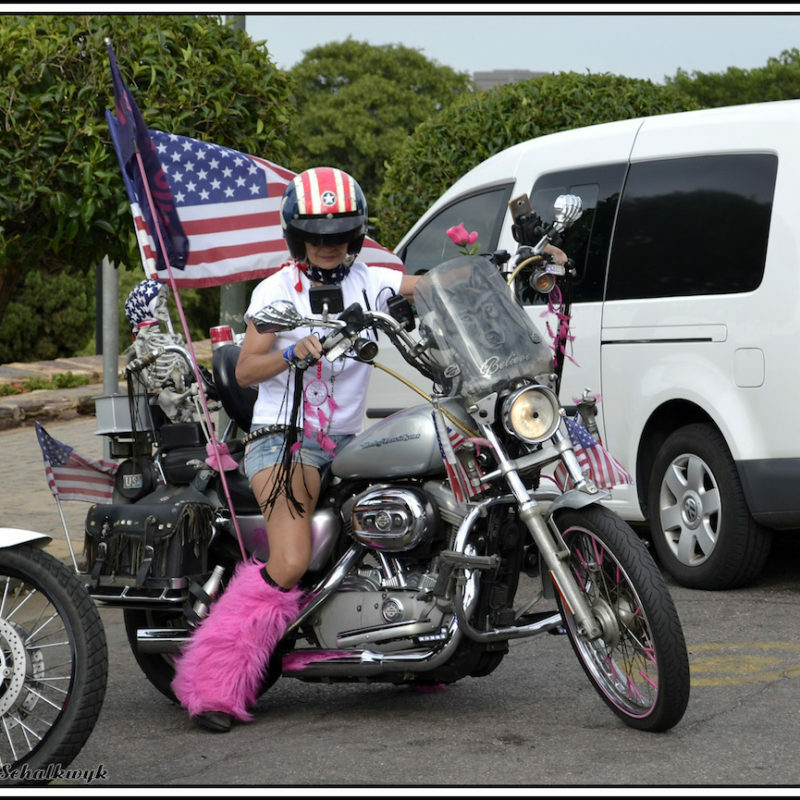 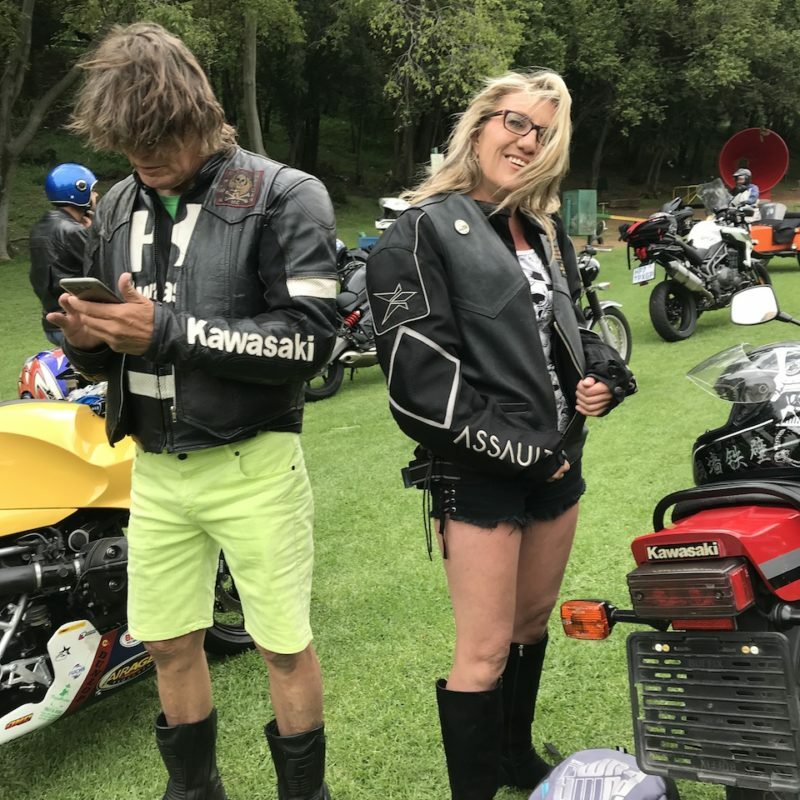 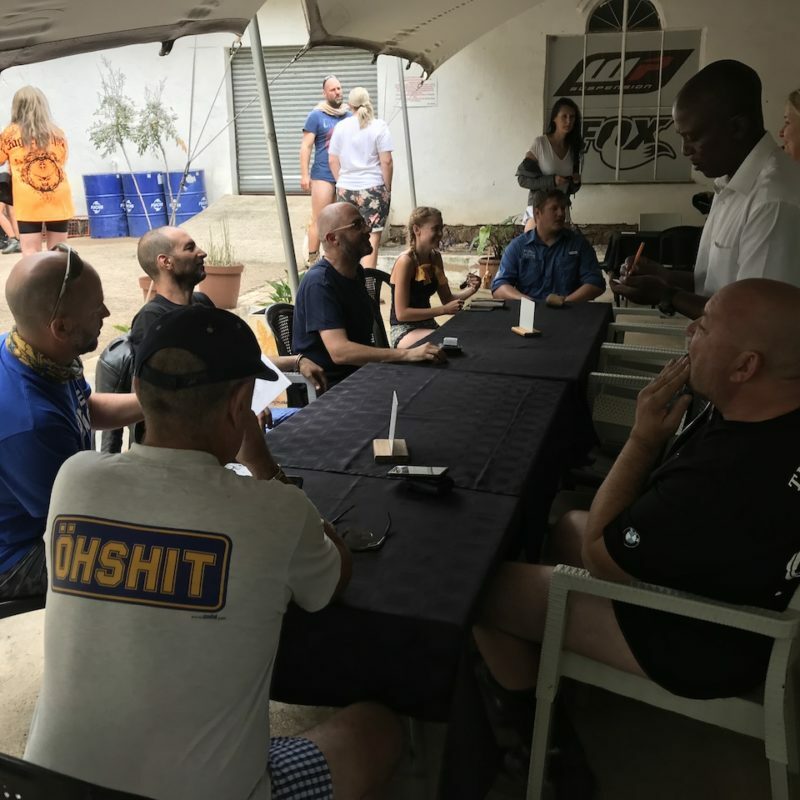 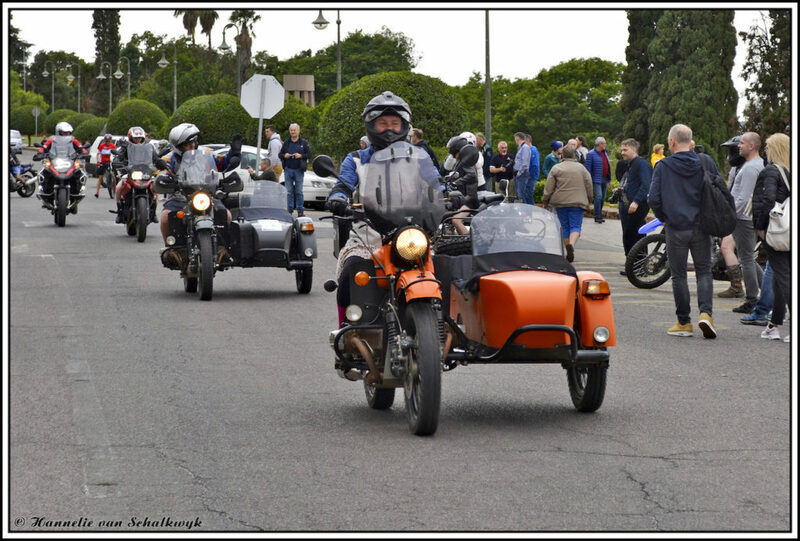 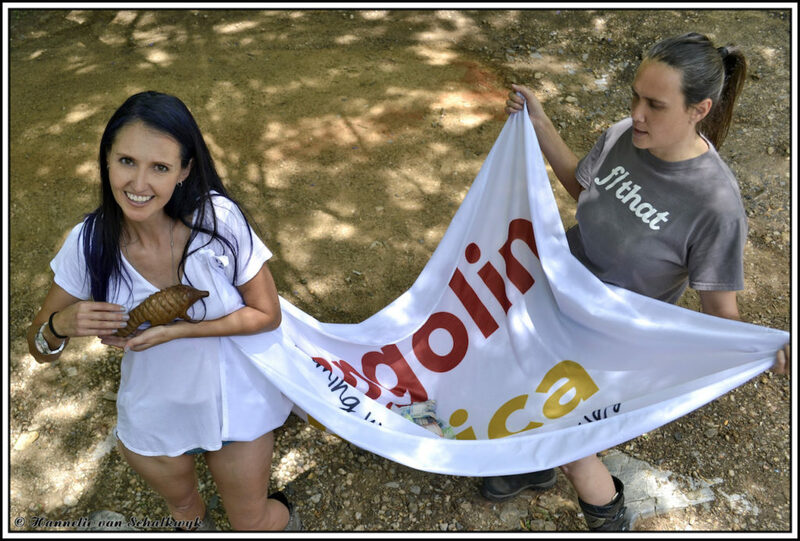 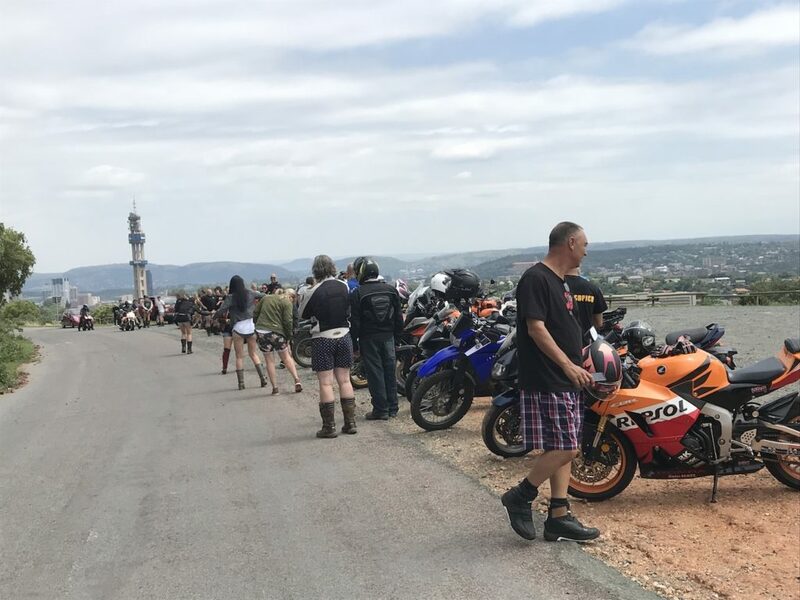 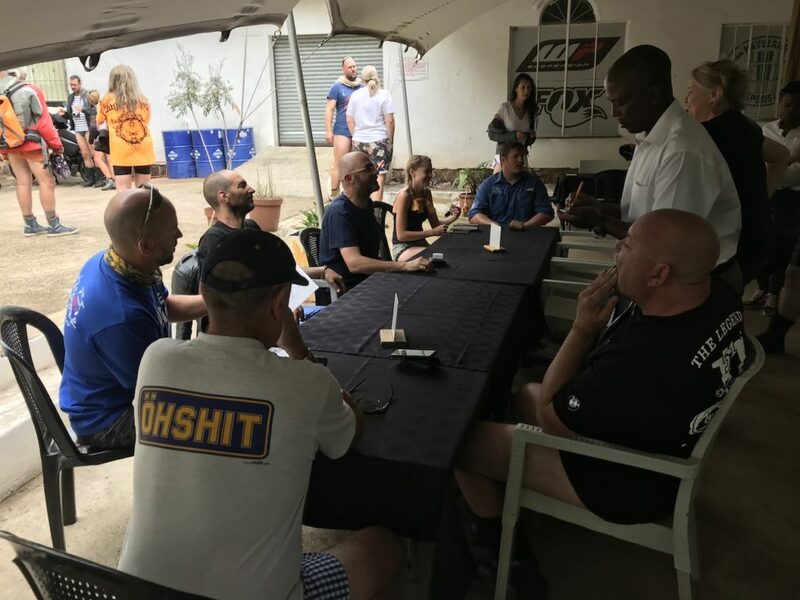 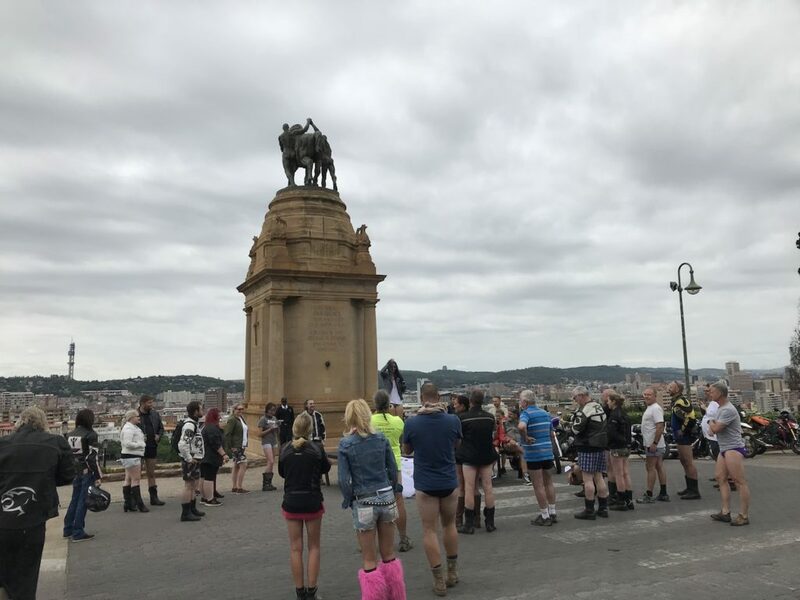 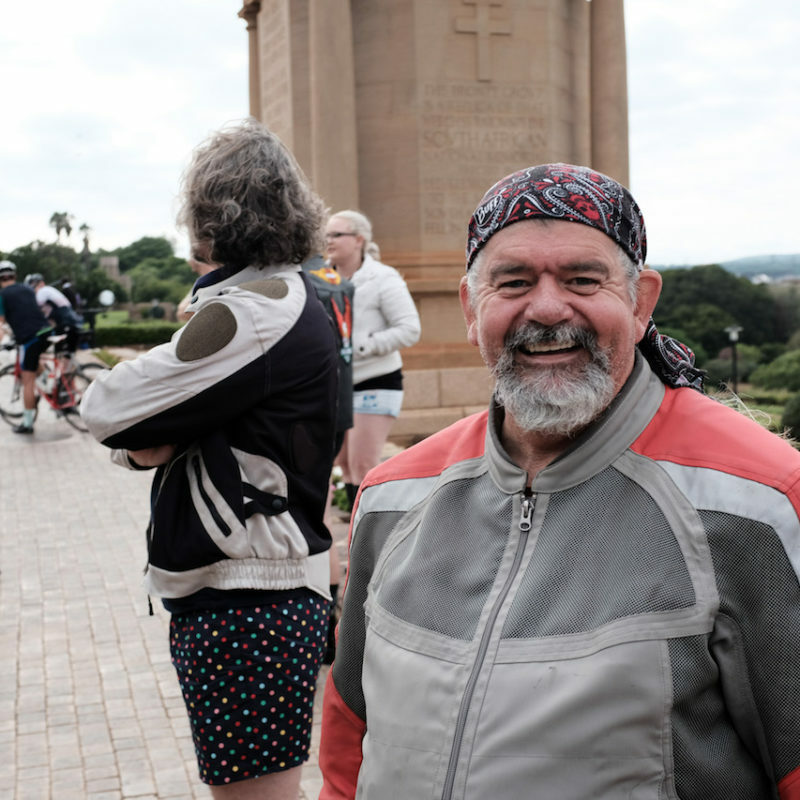 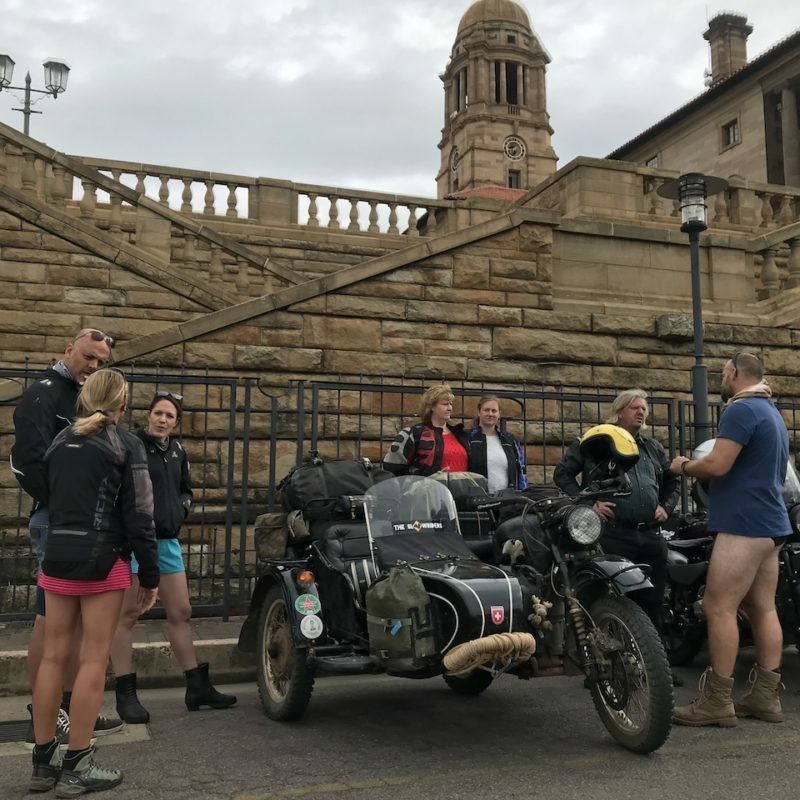 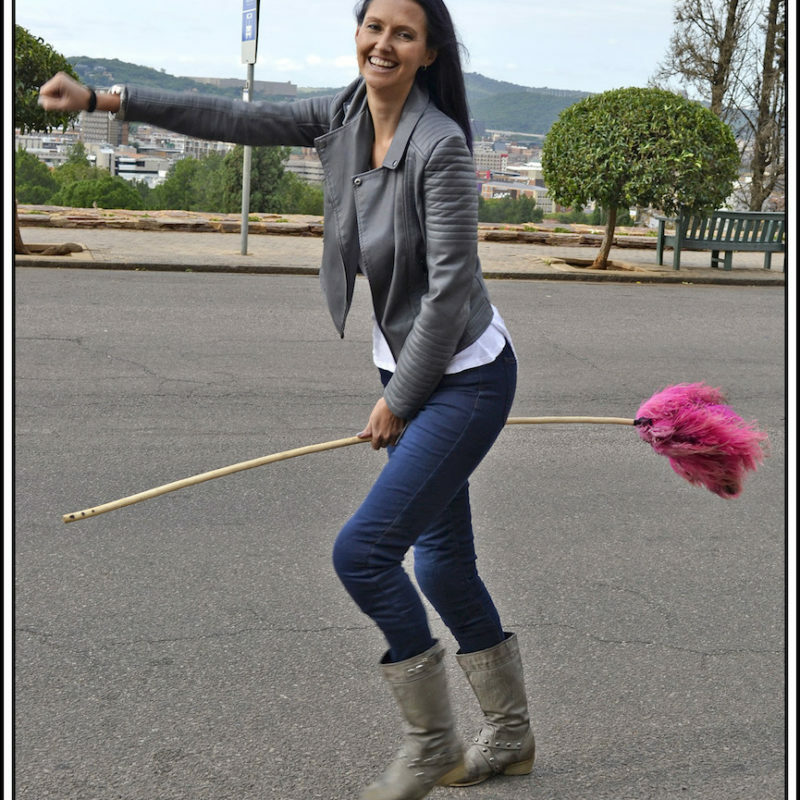 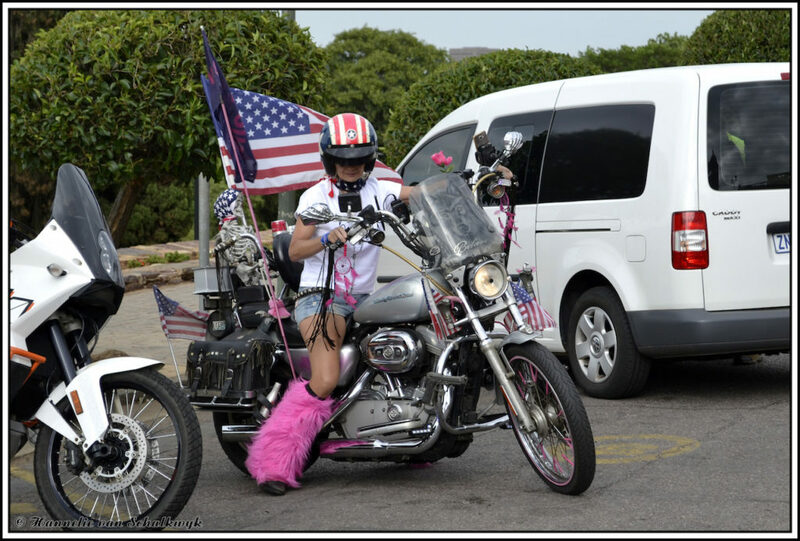 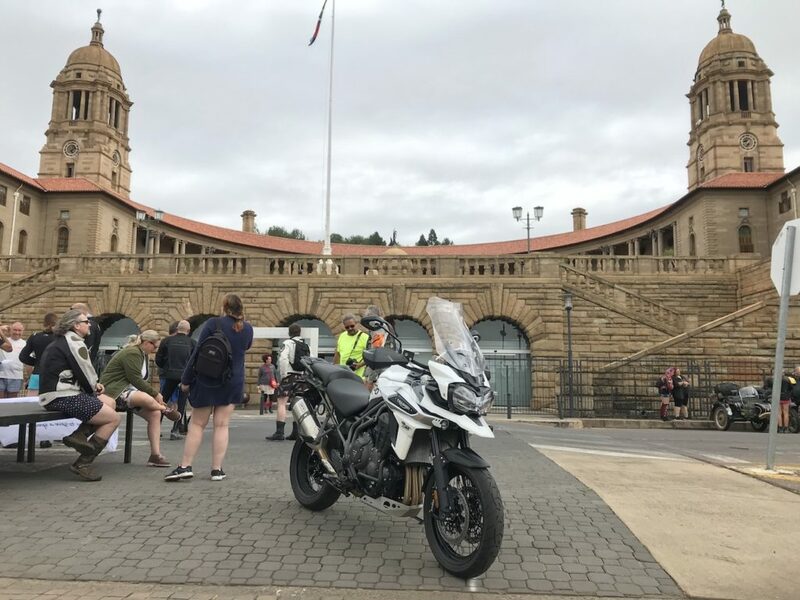 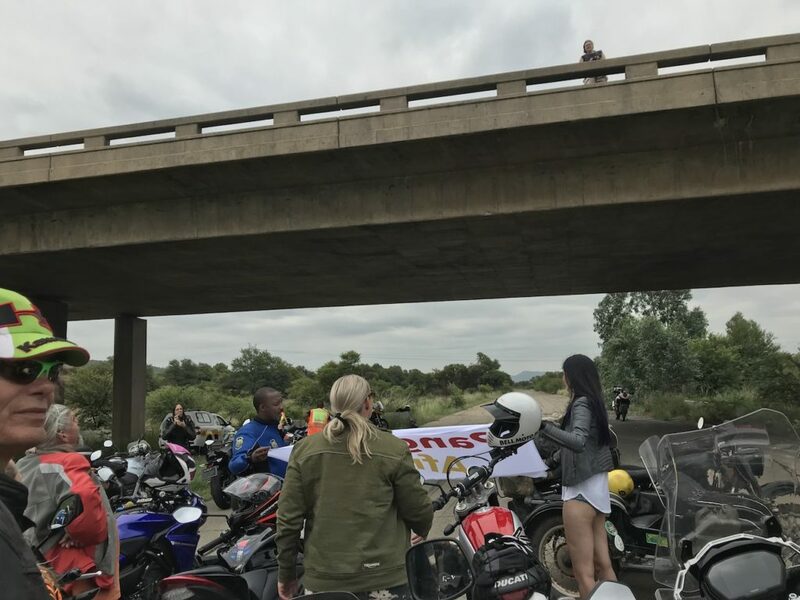 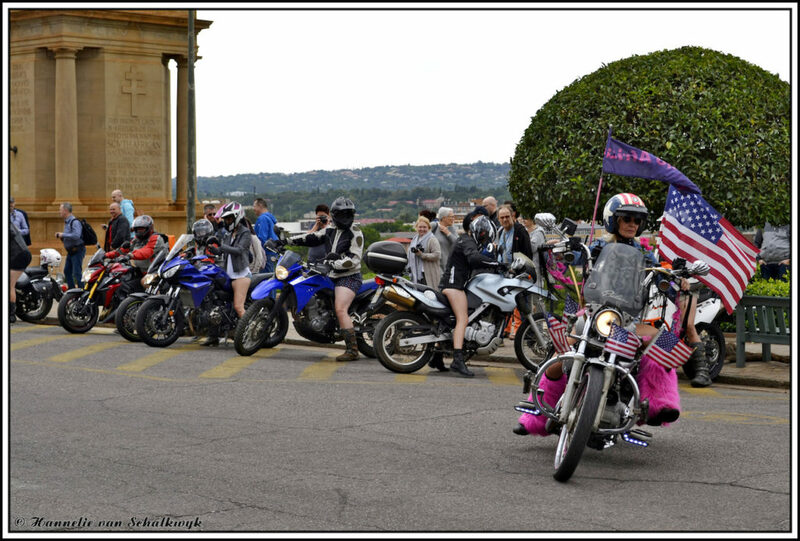 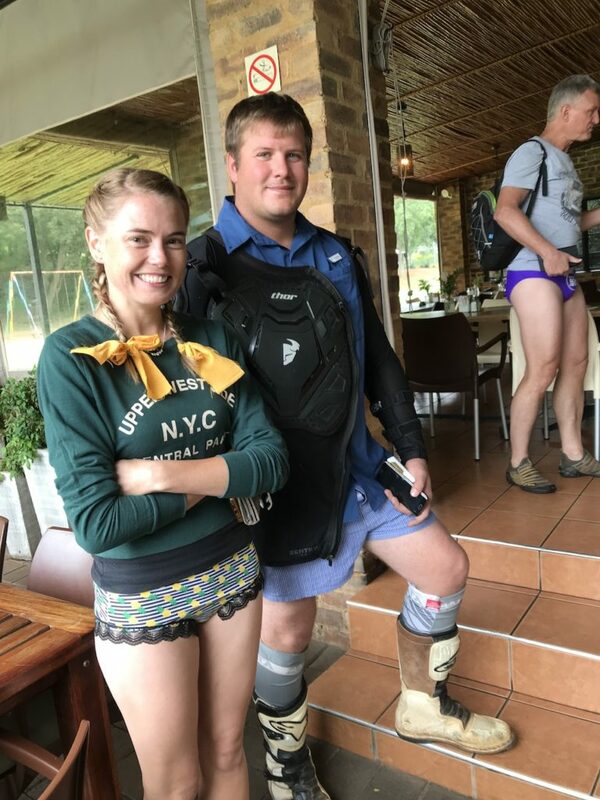 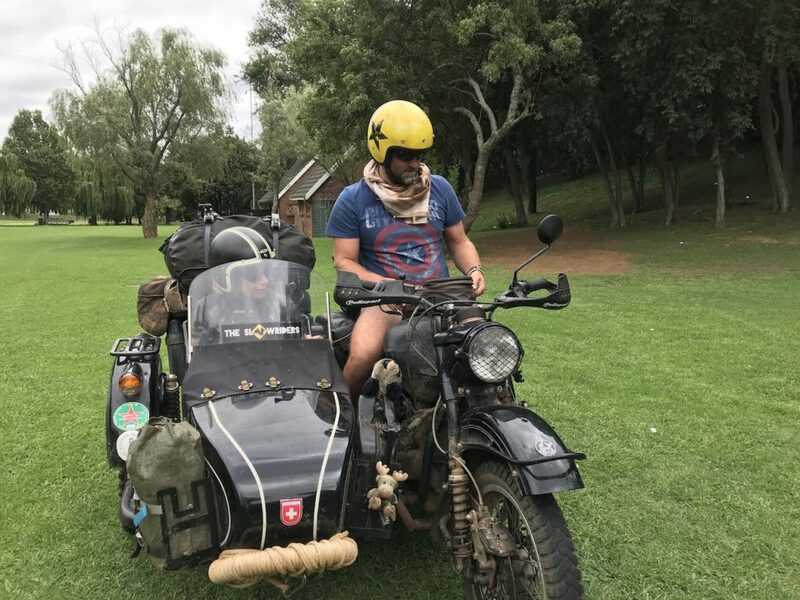 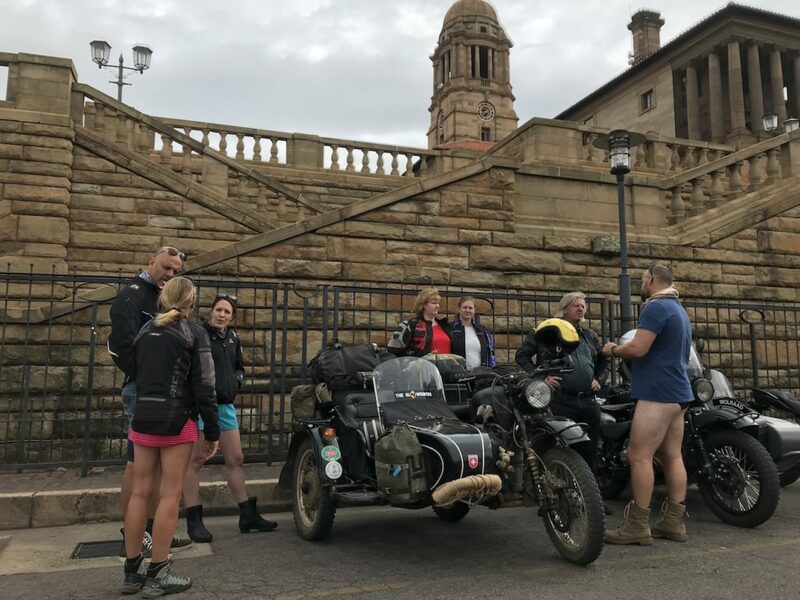 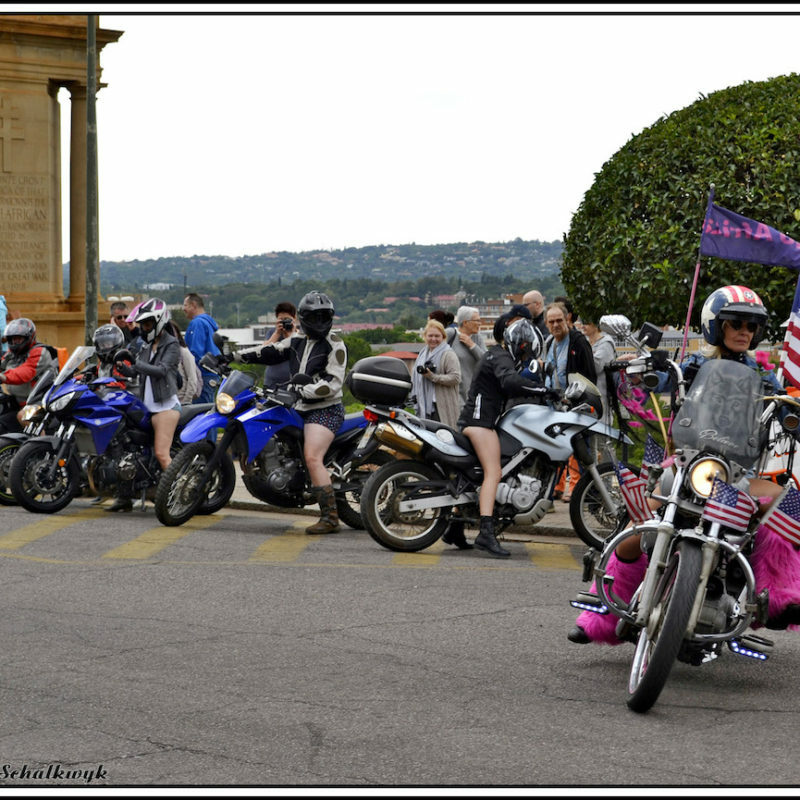 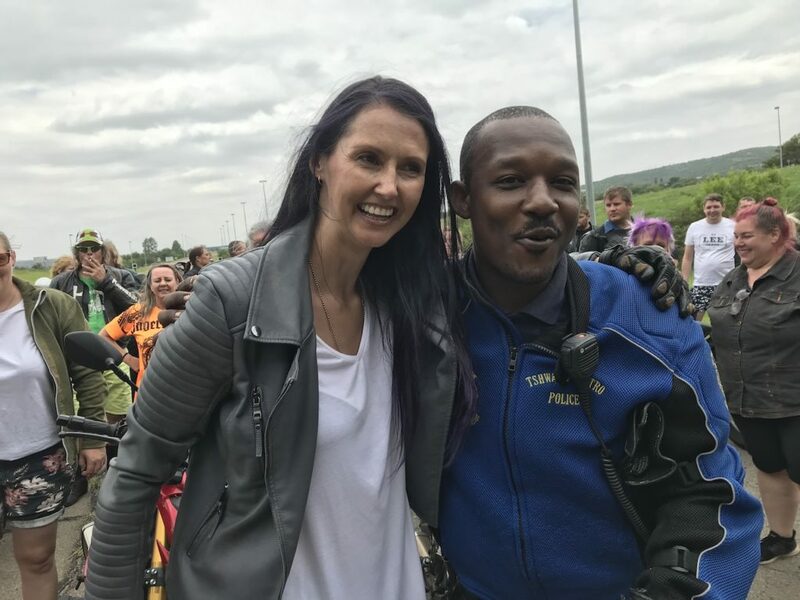 The first event was an informal one that took place last year, where the ubiquitous Skinny van Schalkwyk got together with five friends and did a ride in their underpants to help raise money for anti-rhino poaching. 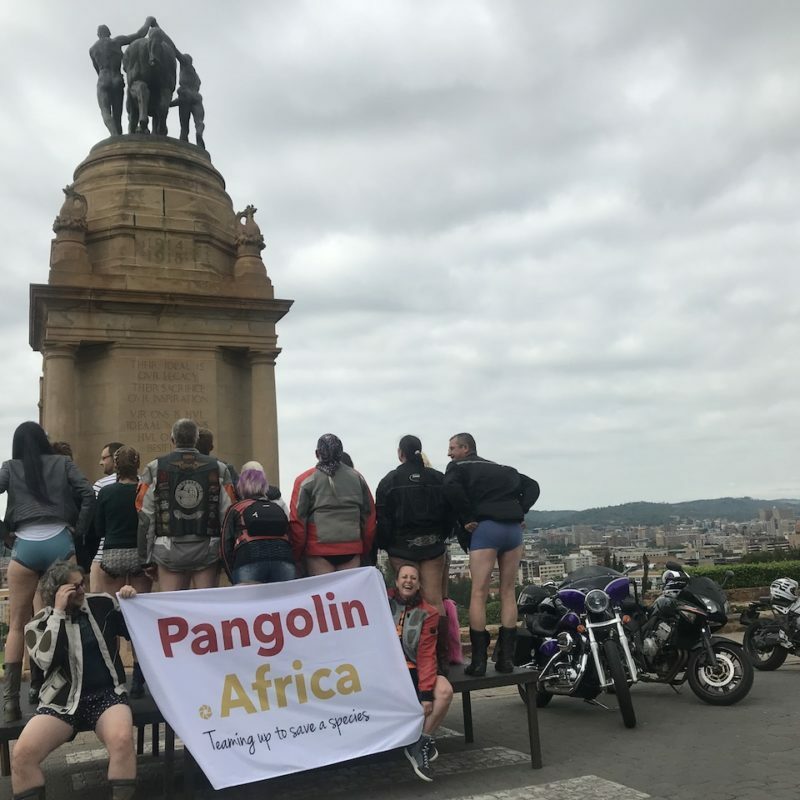 This year the Tank Girls gang did a little more marketing, putting a few posts on Facebook and one story appeared on this site, but it was still intended as an informal event with a few people. 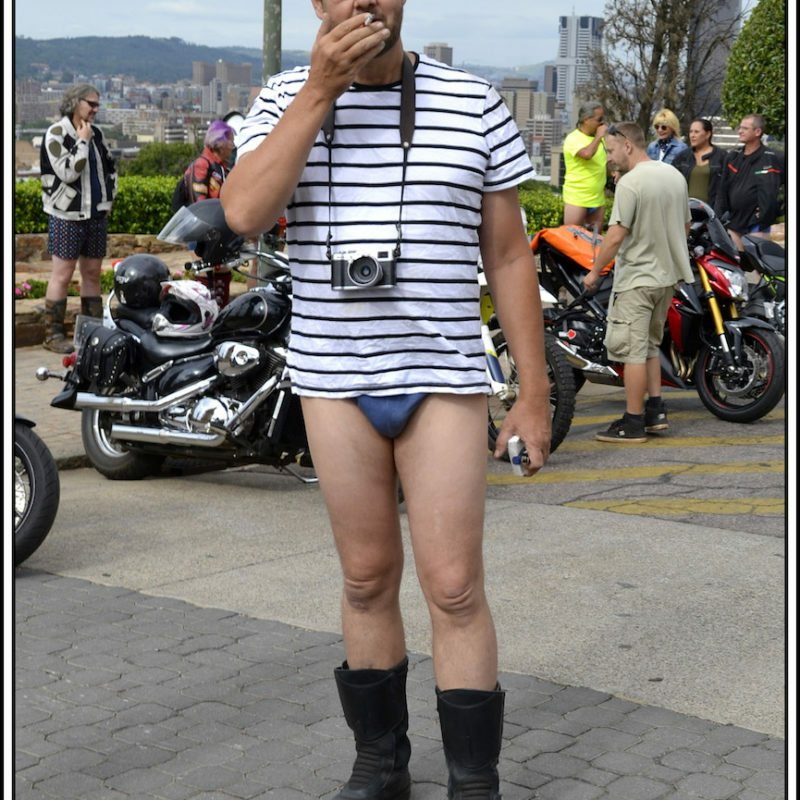 And yet the amiable crowd stepped up and everyone just got on with it, albeit in a more fleshy lower region fashion. 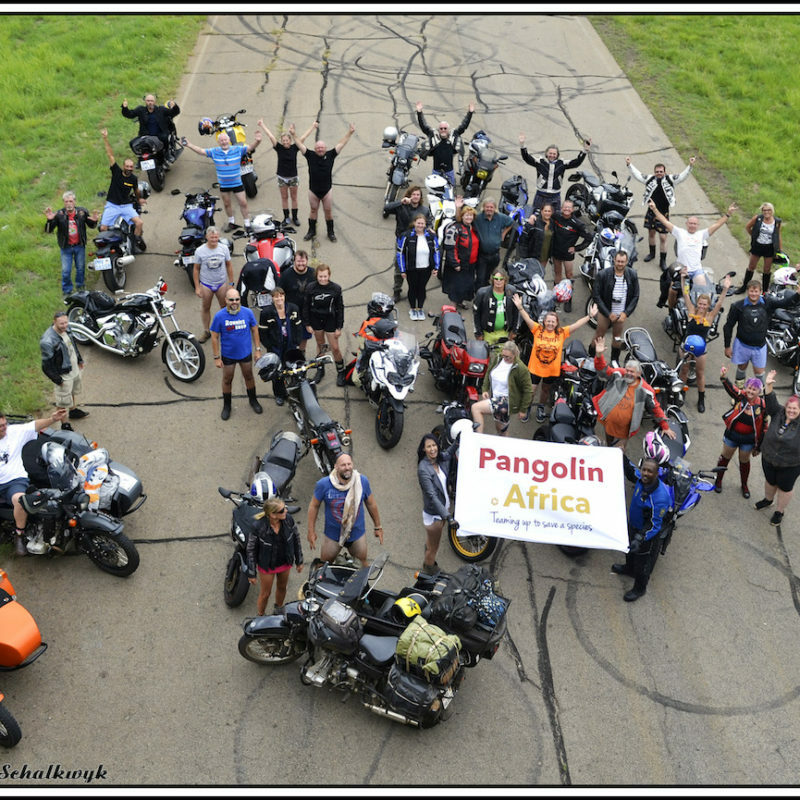 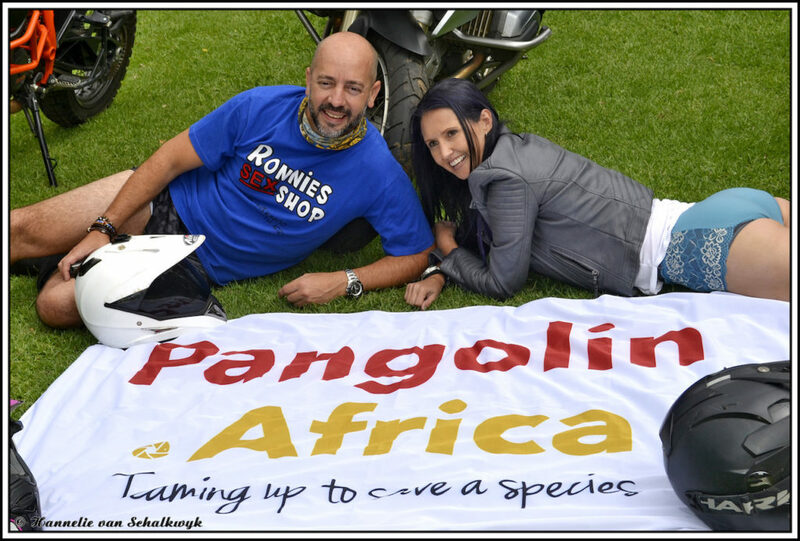 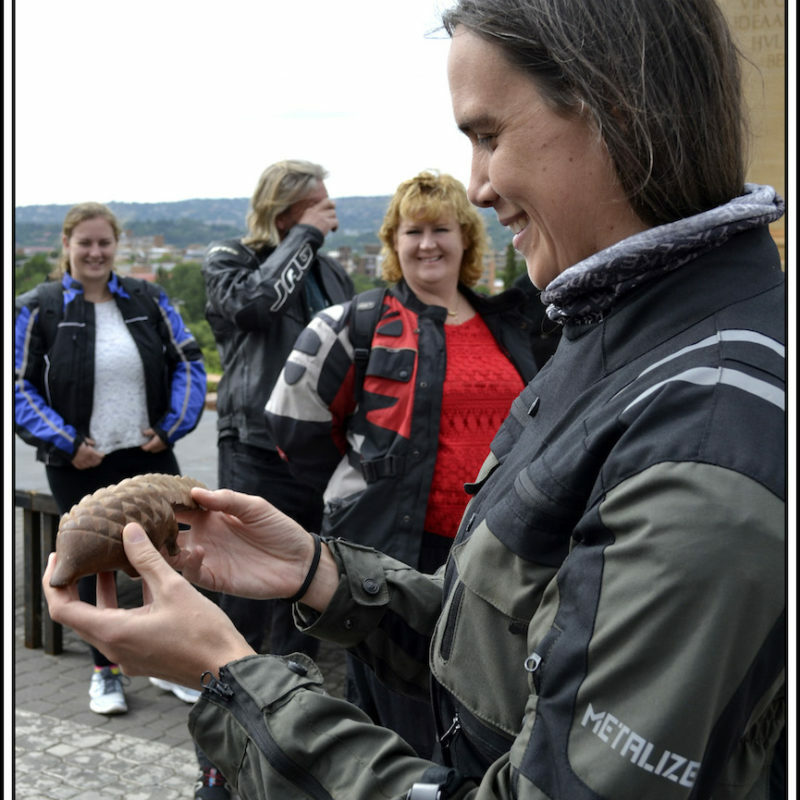 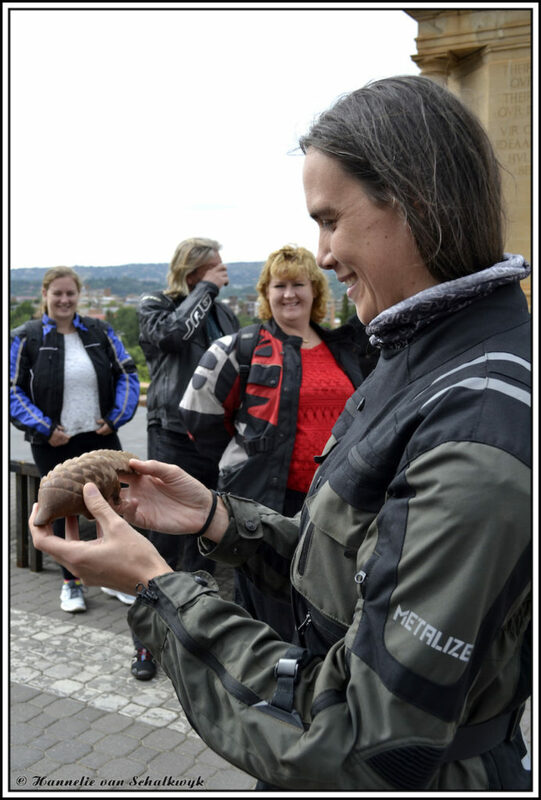 This year’s event was to aid in the protection of the pangolin, the world’s most poached animal. 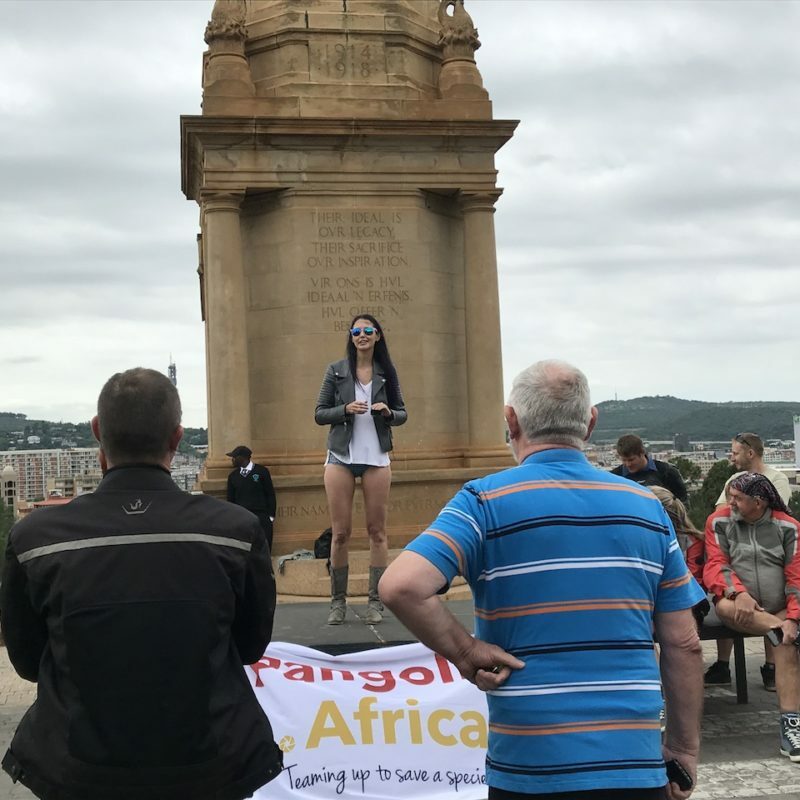 It is a type of scaled anteater, and despite its protection thousands find their way to the likes of China and Vietnam where their meat and scales are said to possess medicinal qualities, sadly not enough to cure stupidity. 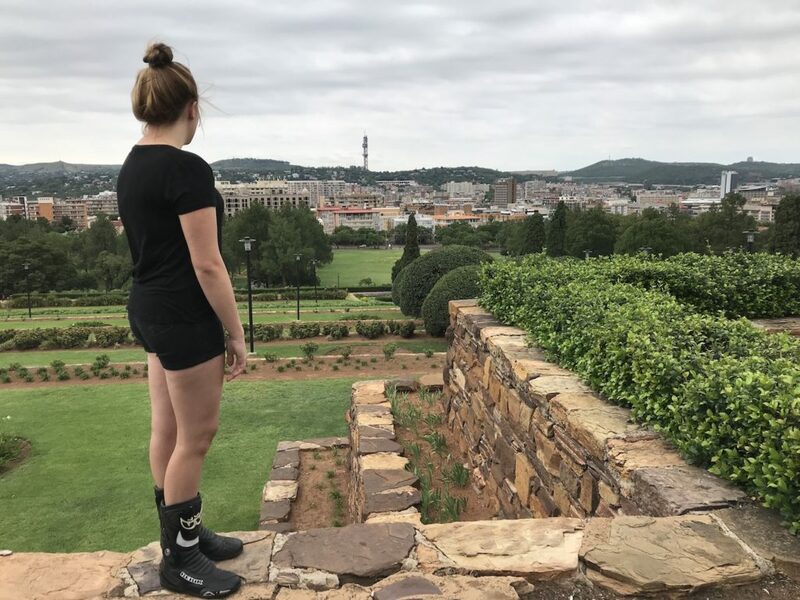 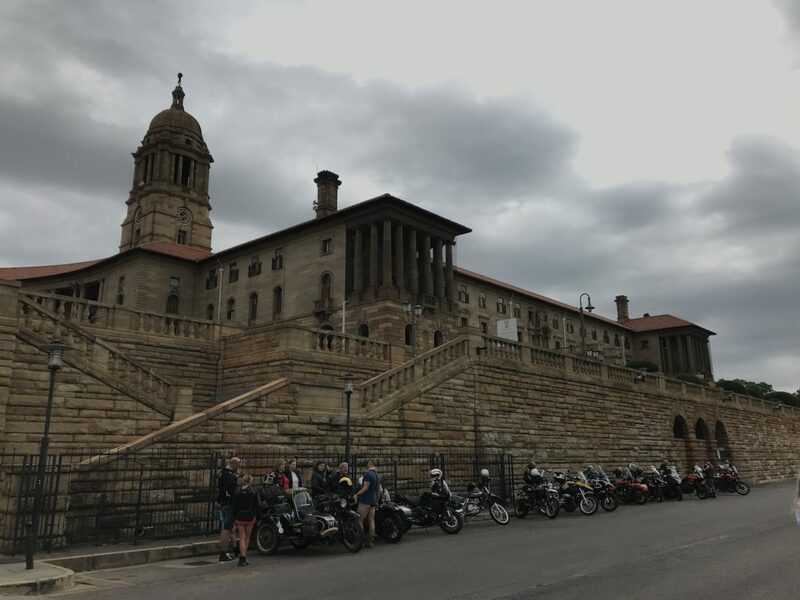 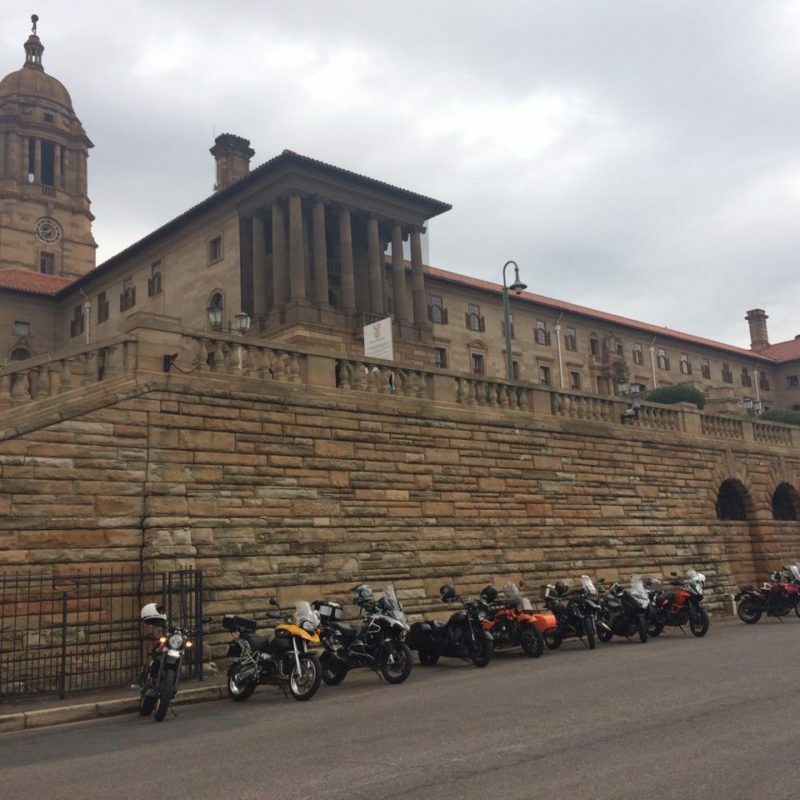 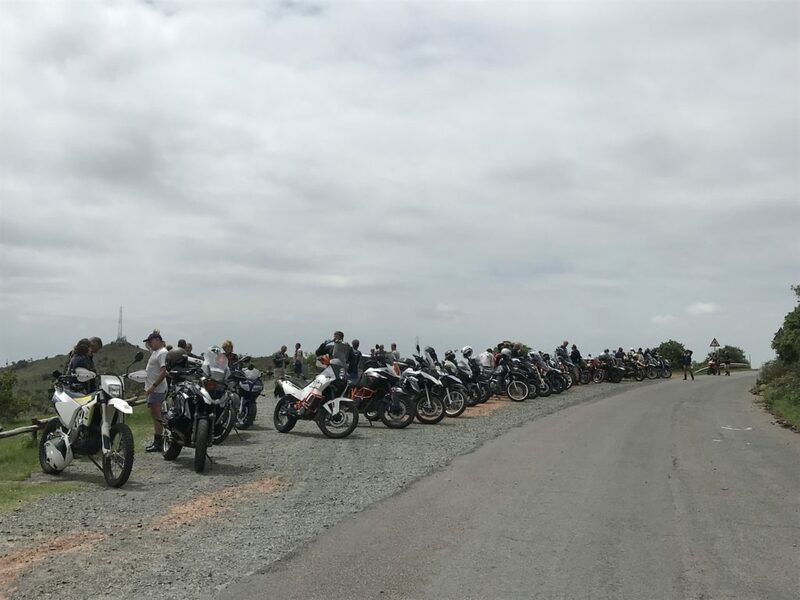 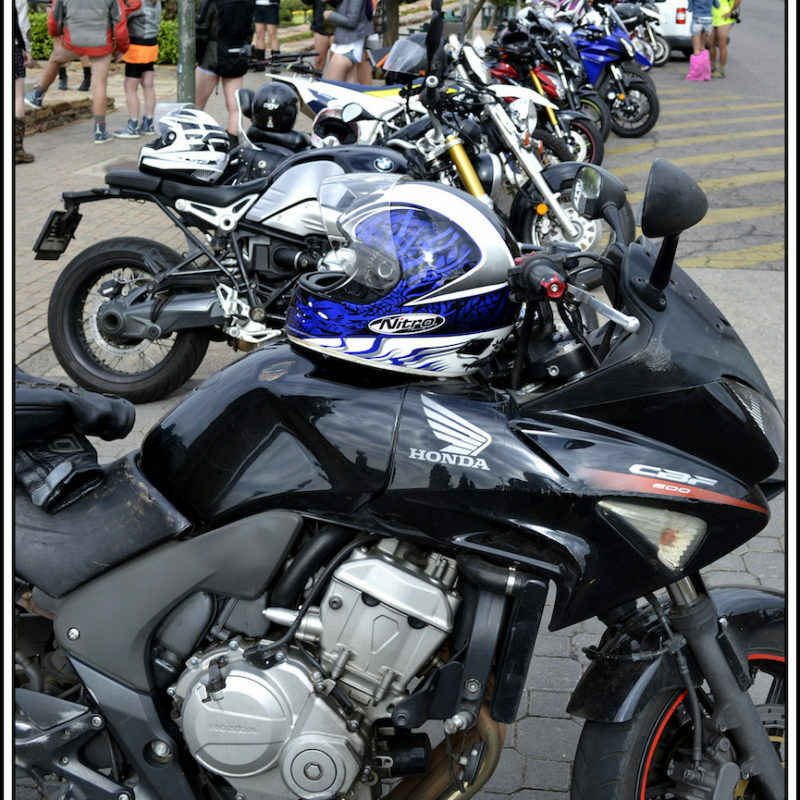 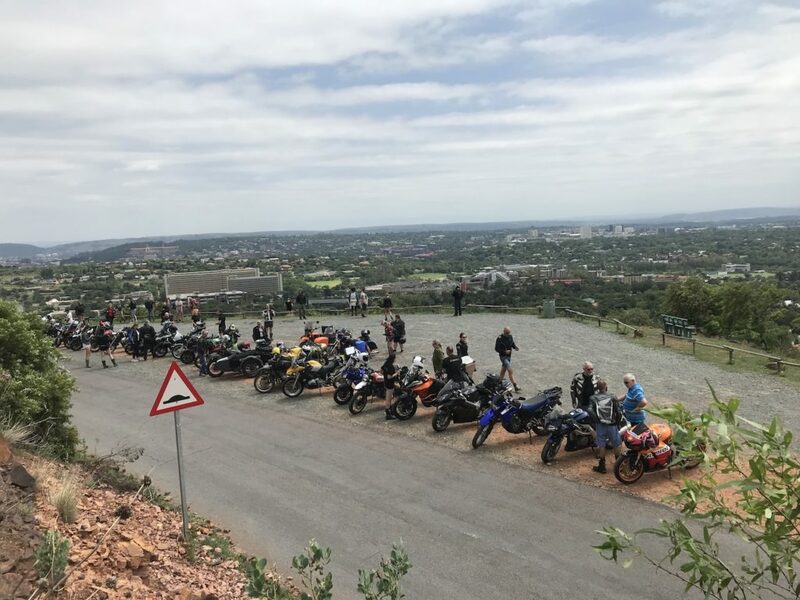 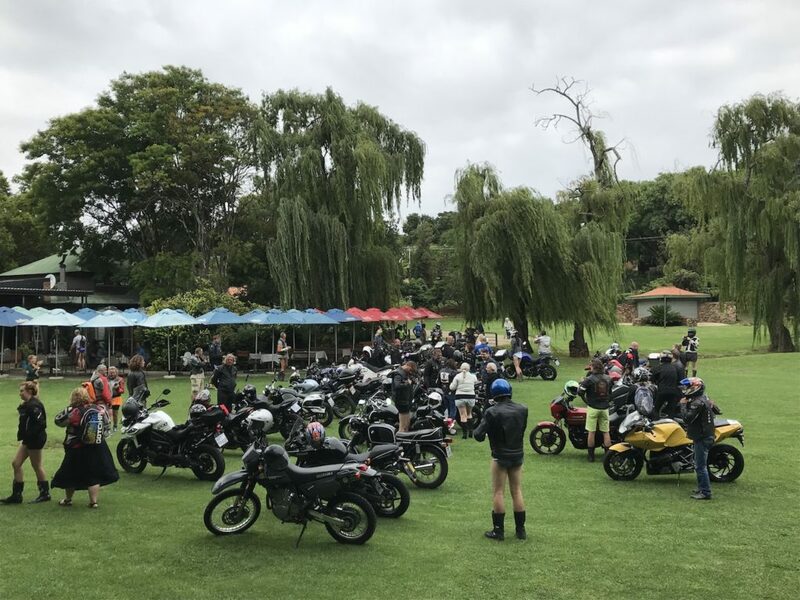 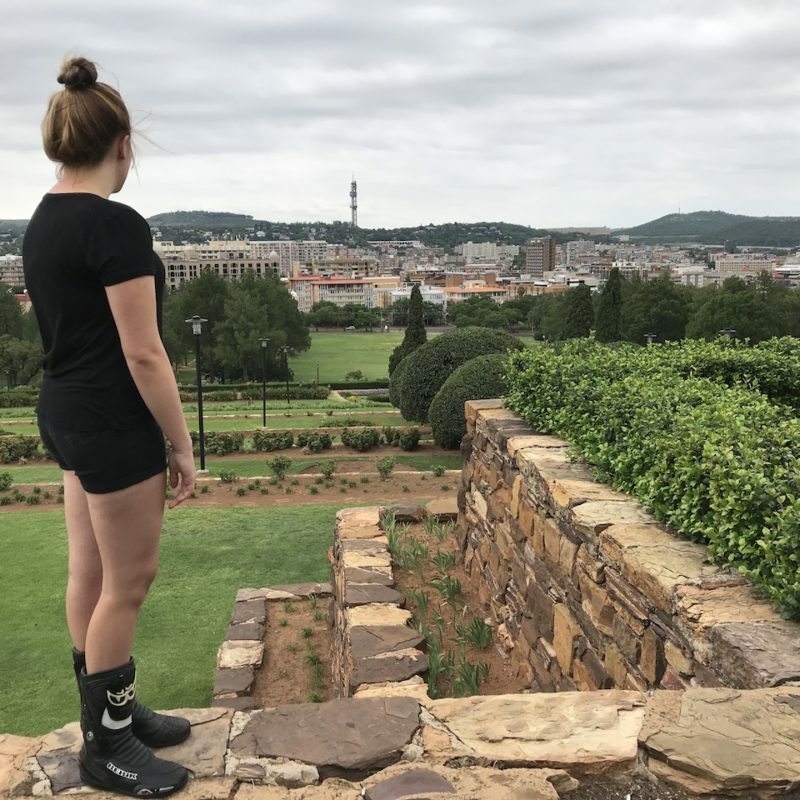 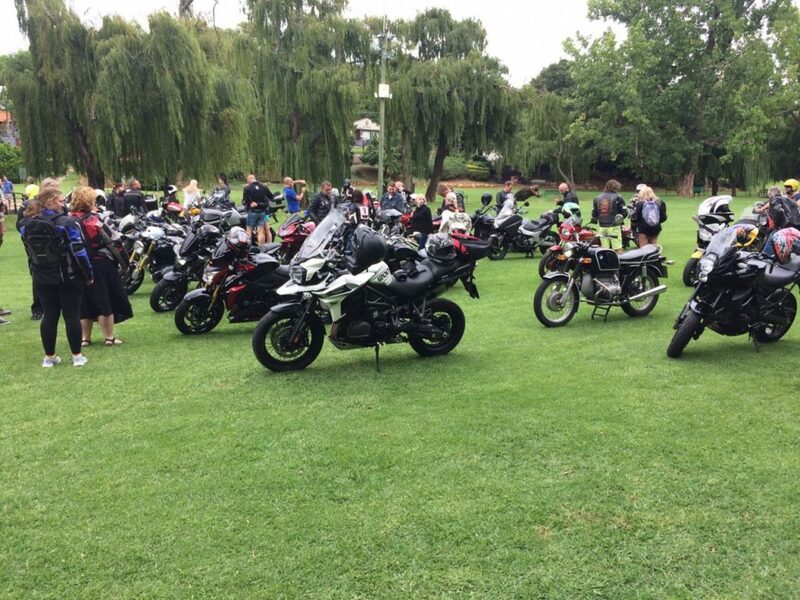 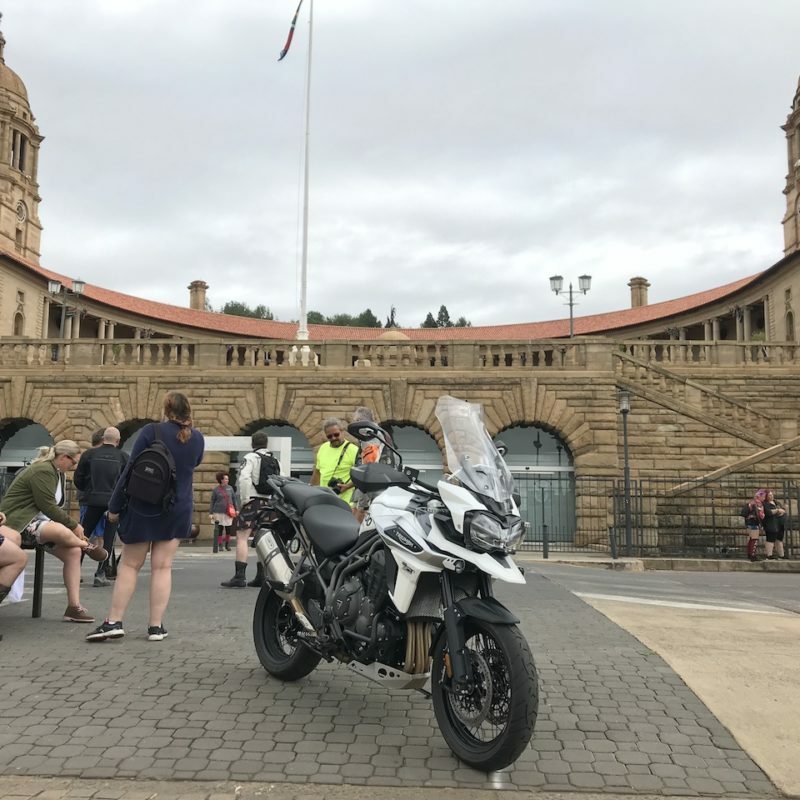 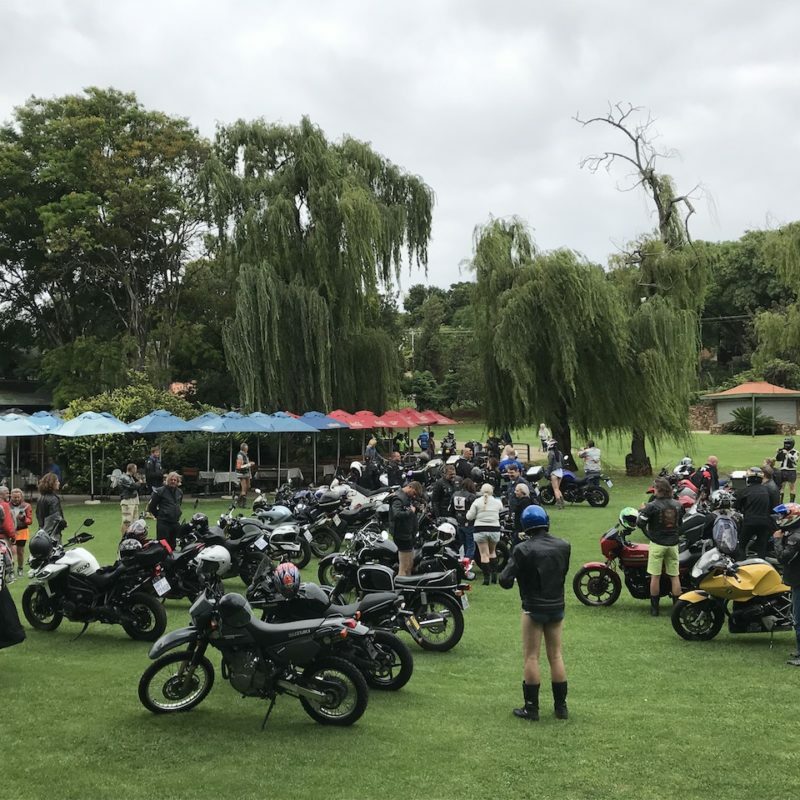 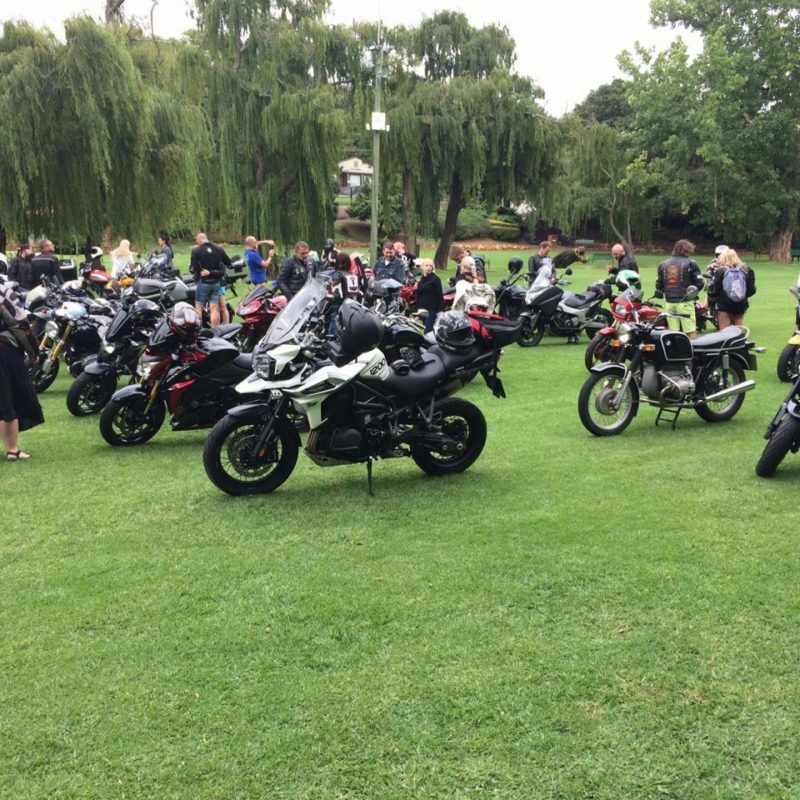 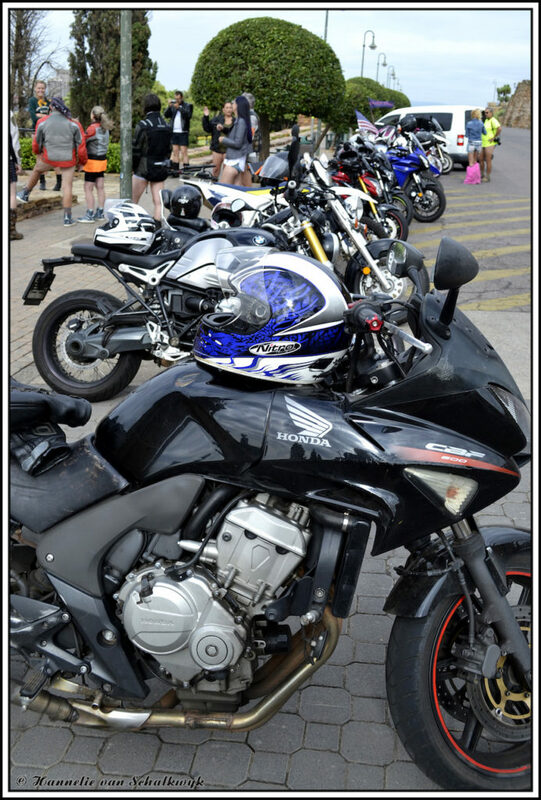 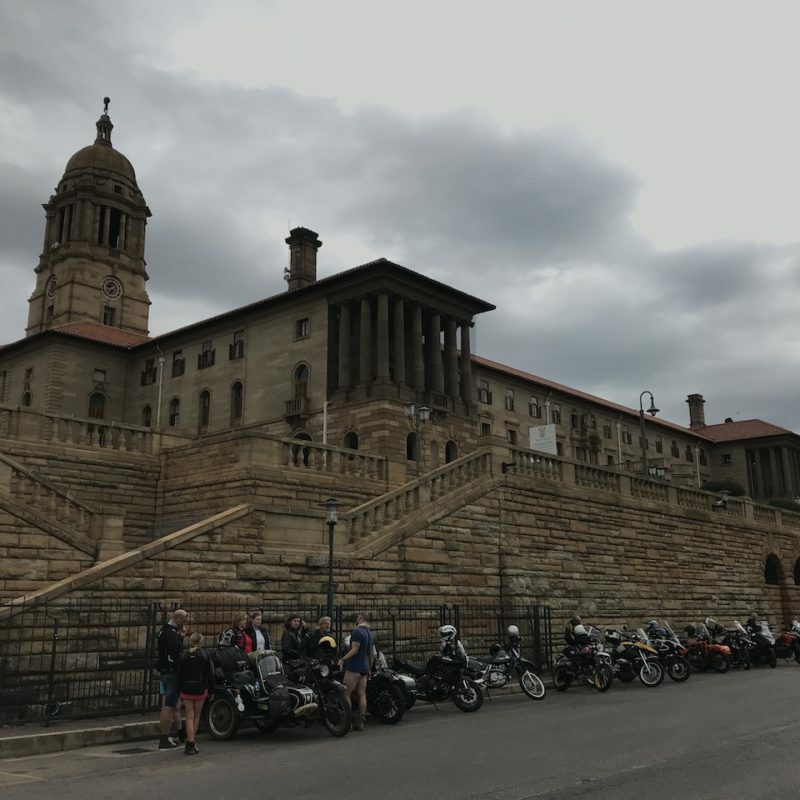 The first stop was a tea garden in Pretoria where the white-legged riders lined up their esteemed steeds on the grass, and settled down for some coffee and a light breakfast. 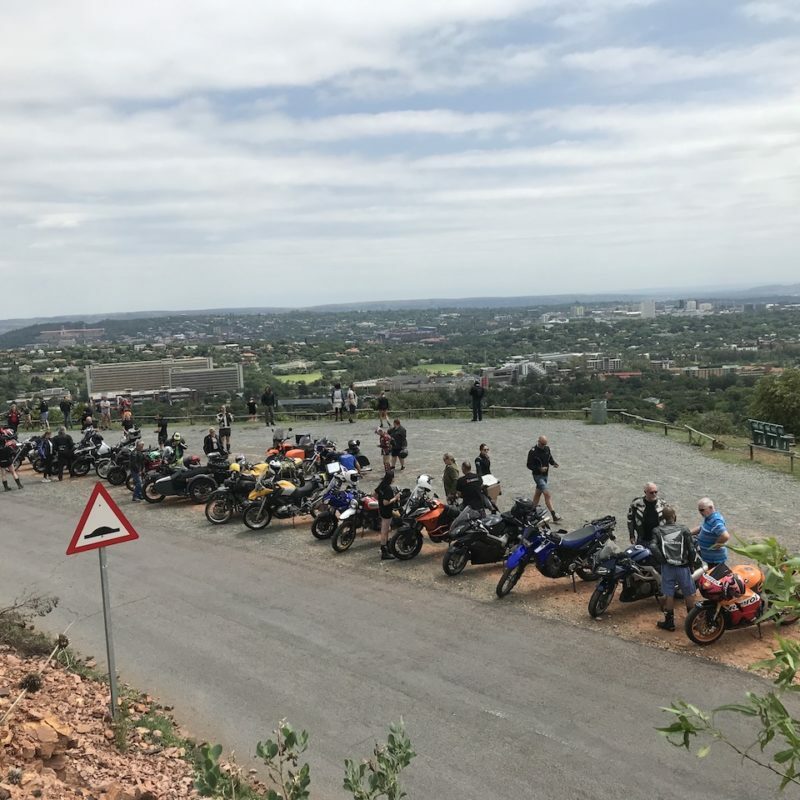 We then set off up Klapperkop Nature Reserve for some knee knocking on the windy roads before heading down to Black Rock, the abandoned freeway near Hartbeespoort. 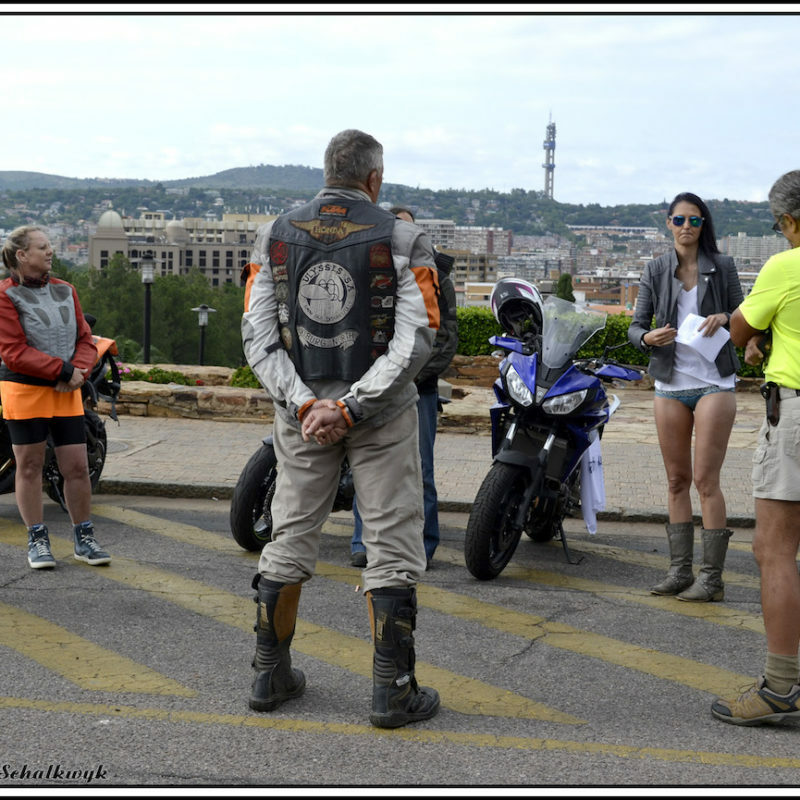 The final stop was The Lazy Lizard on the R512, opposite The Lion Park, where Skinny failed to see the irony. 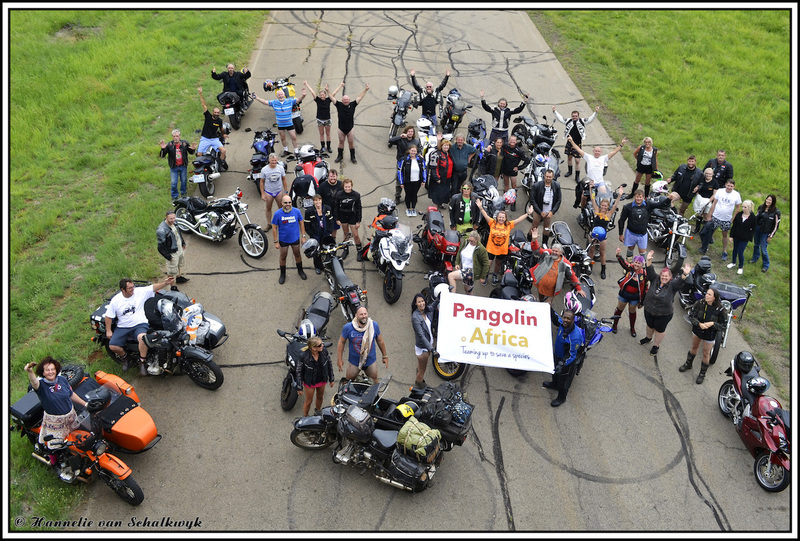 Everyone settled down for lunch after putting down a donation to the Pangolin Fund, and got on with the obligatory over-exaggeration of the day’s event. 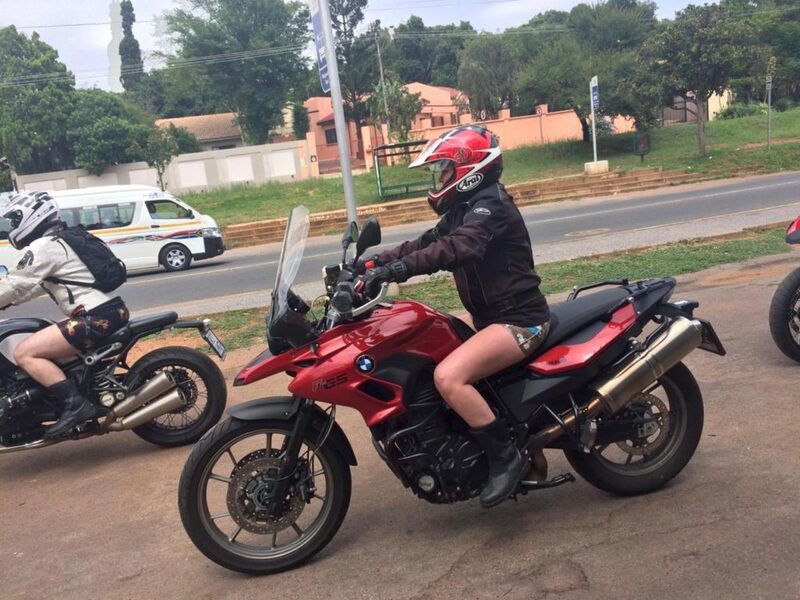 It’s interesting how a simple ride can be greatly enhanced by changing one small thing, in this case the abandonment of lower body attire. 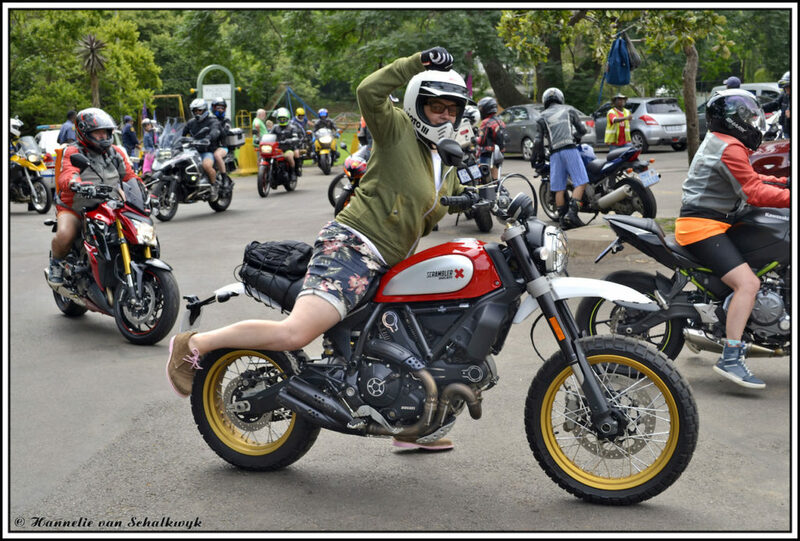 It was joyous, spirited, good-willed and thankfully no one crashed. 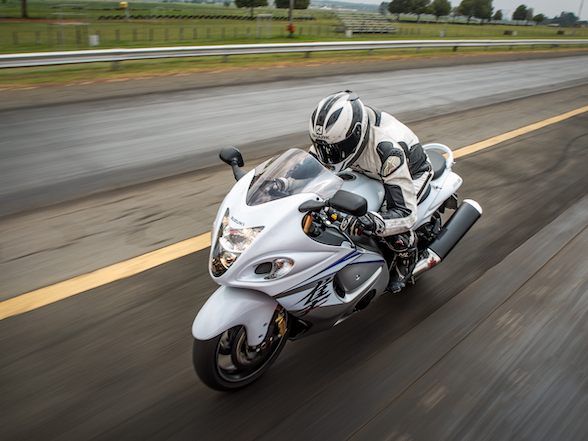 This just goes to prove the theory – less protection means less crashes.